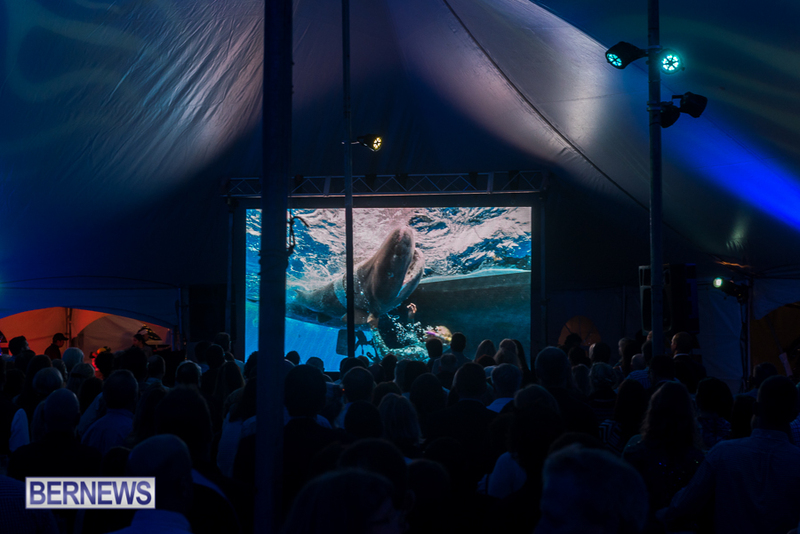 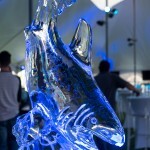 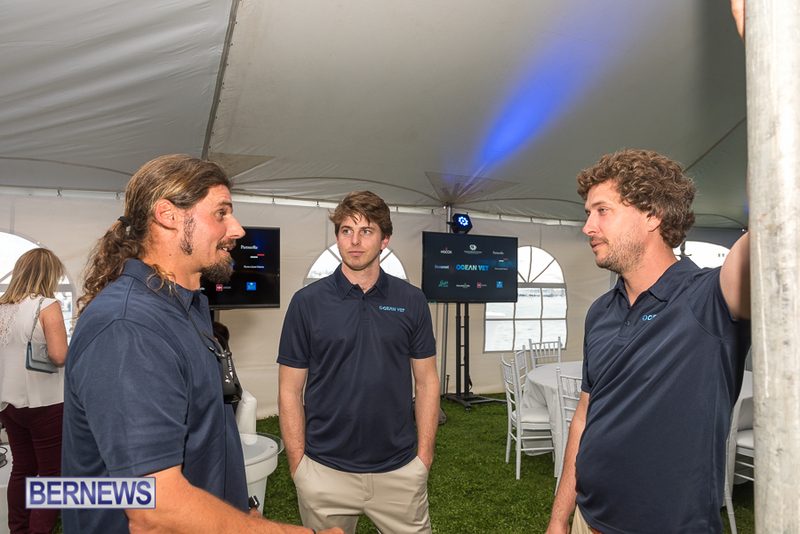 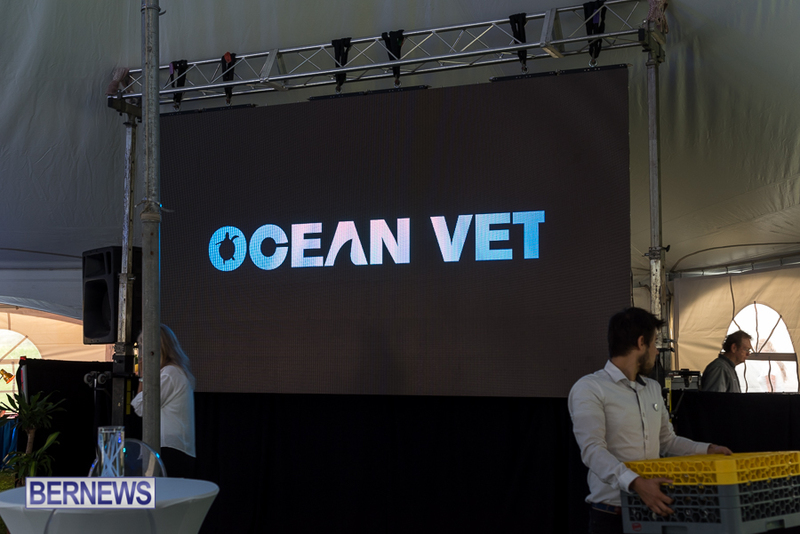 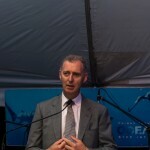 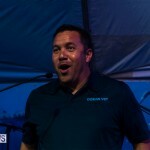 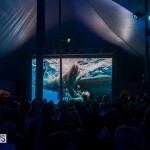 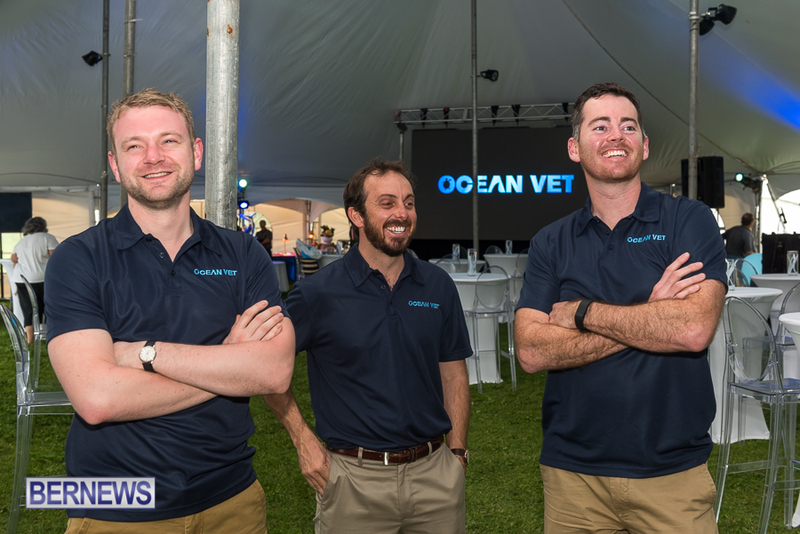 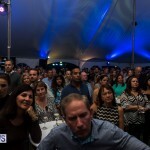 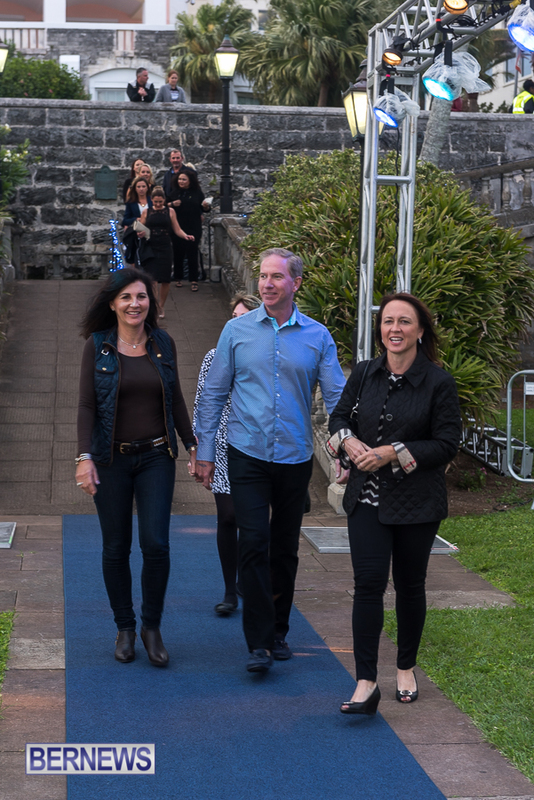 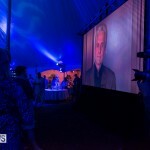 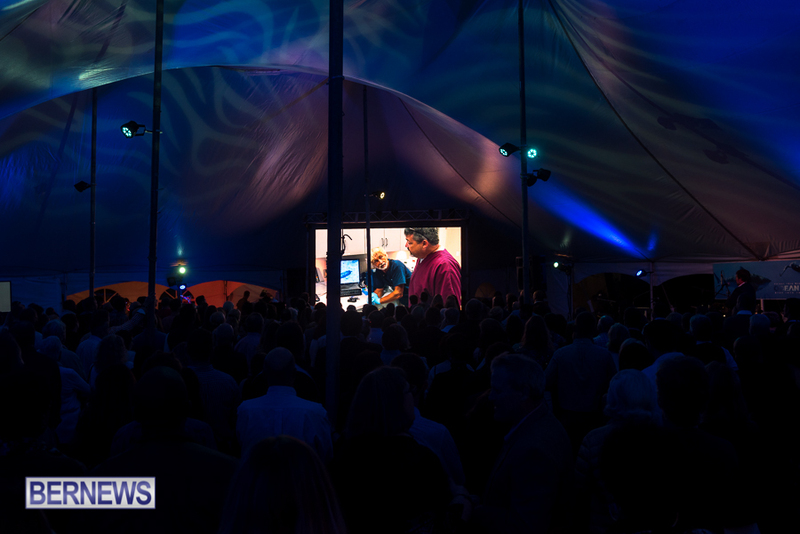 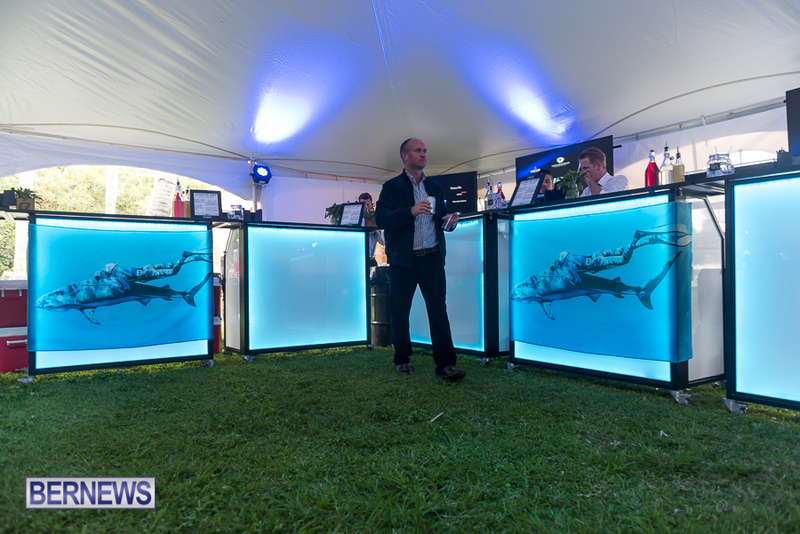 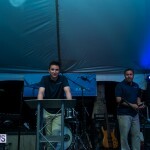 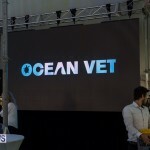 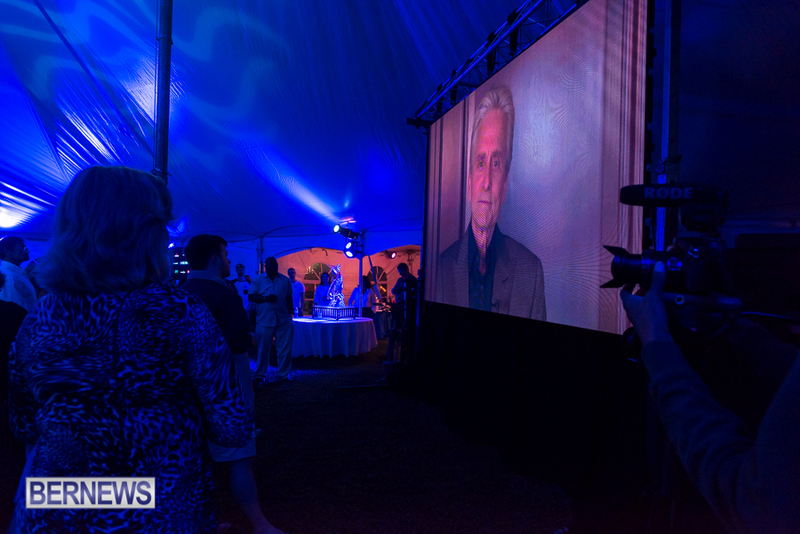 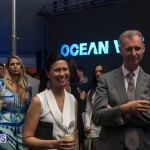 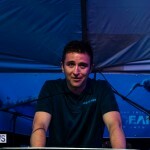 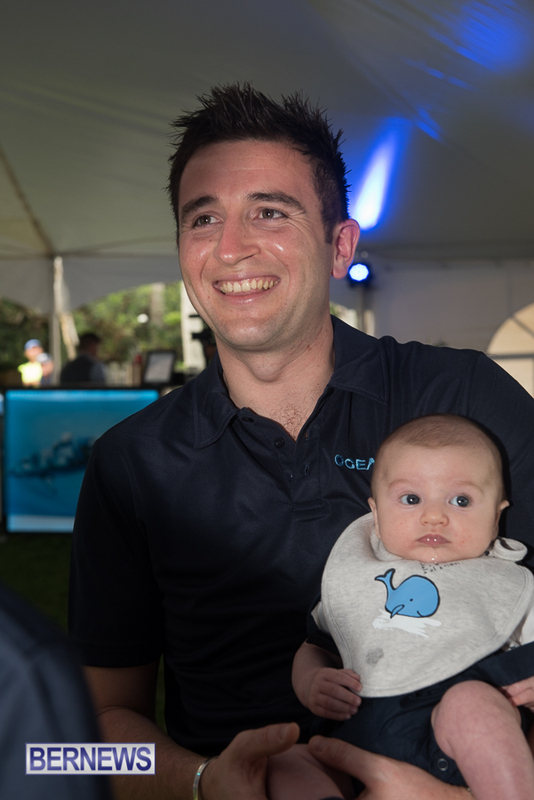 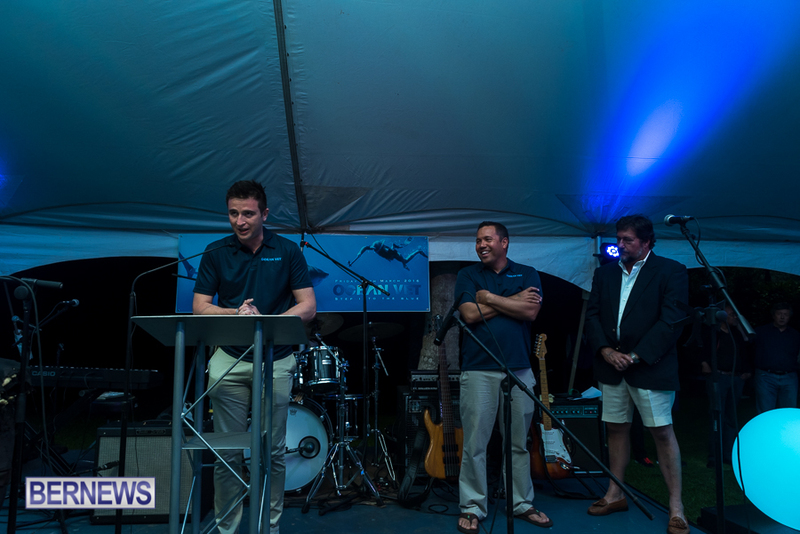 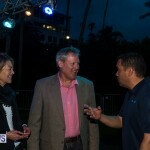 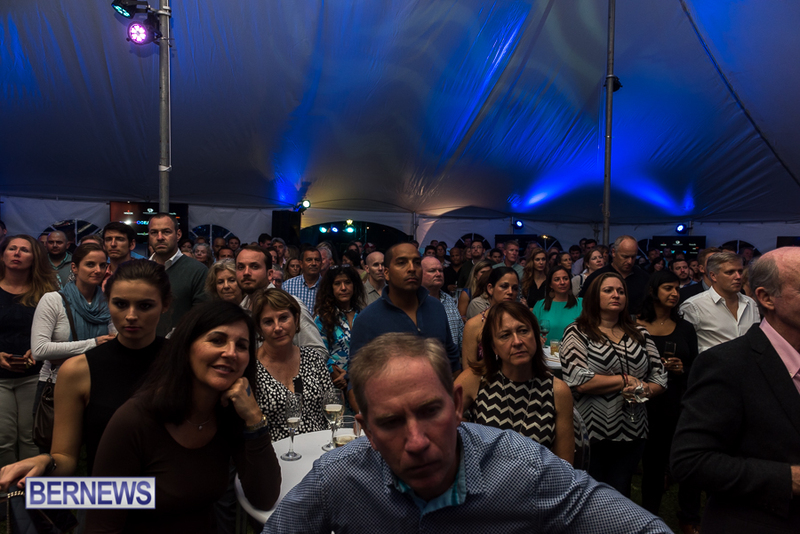 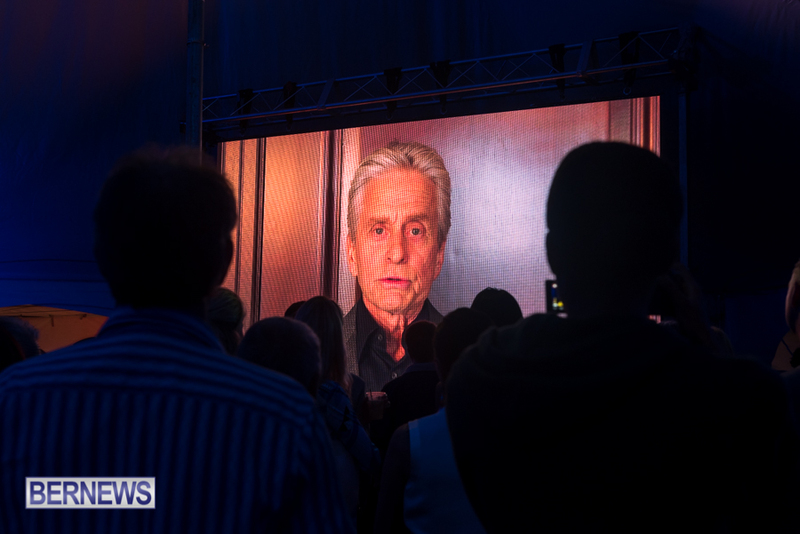 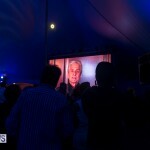 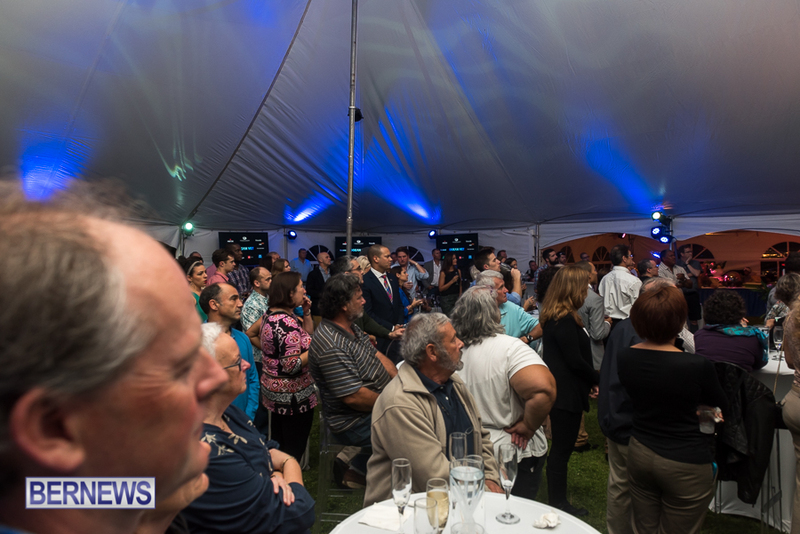 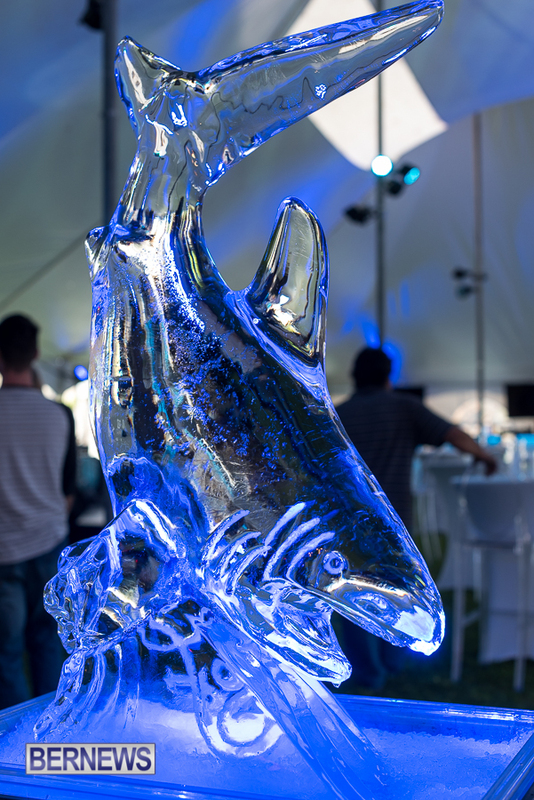 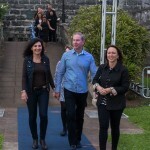 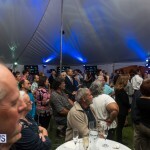 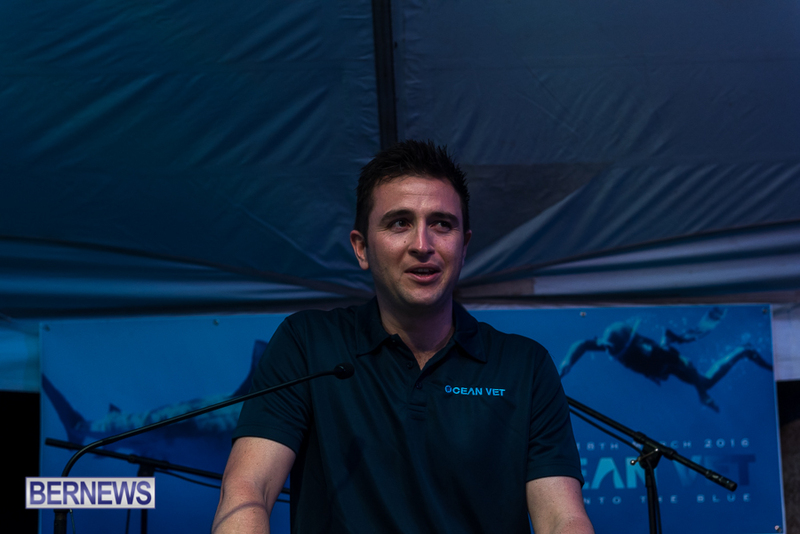 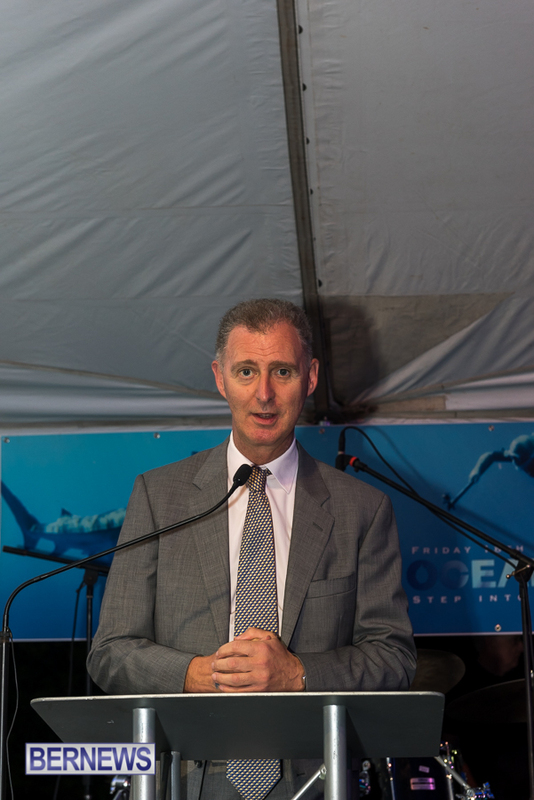 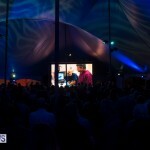 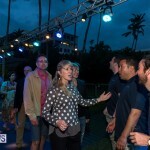 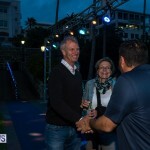 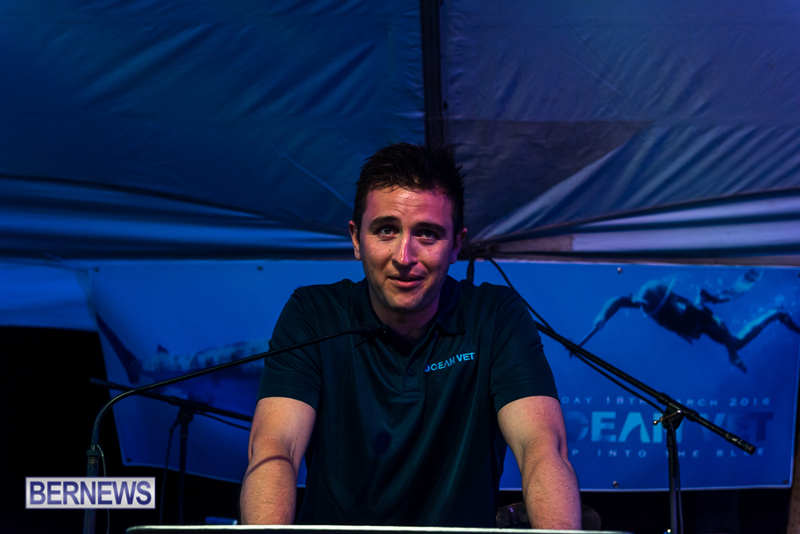 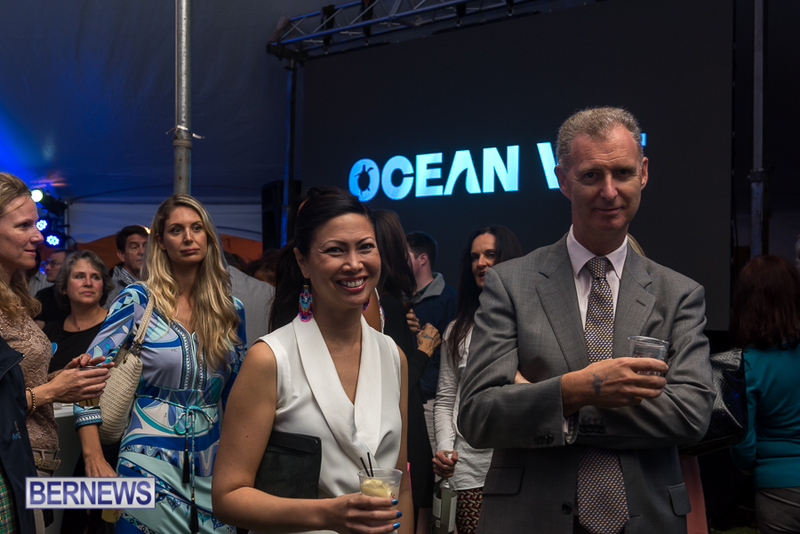 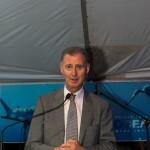 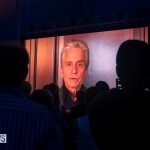 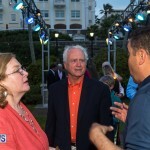 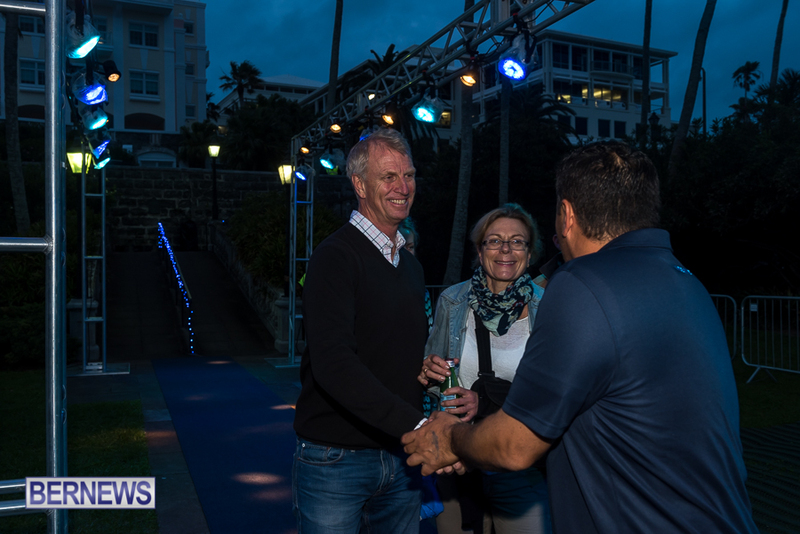 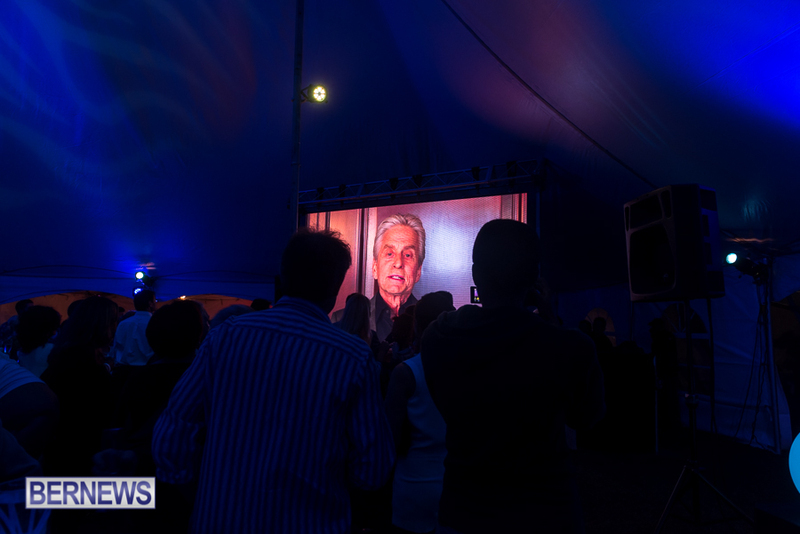 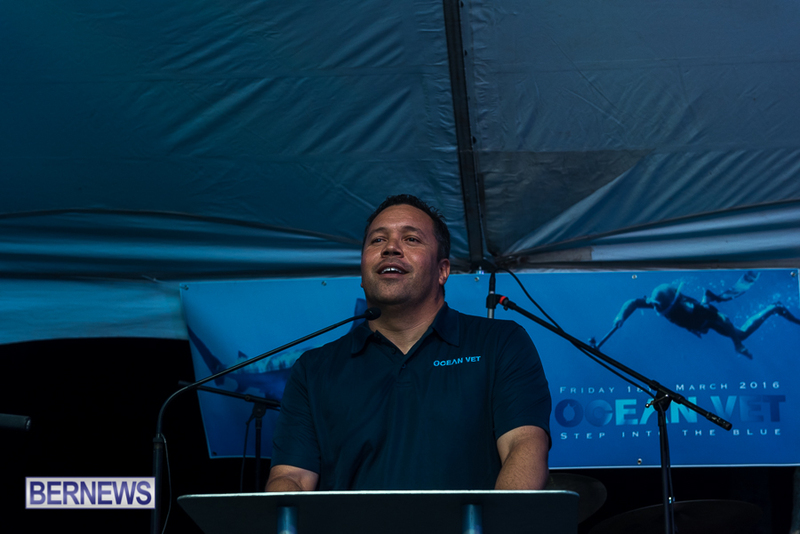 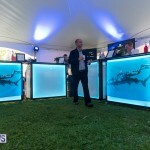 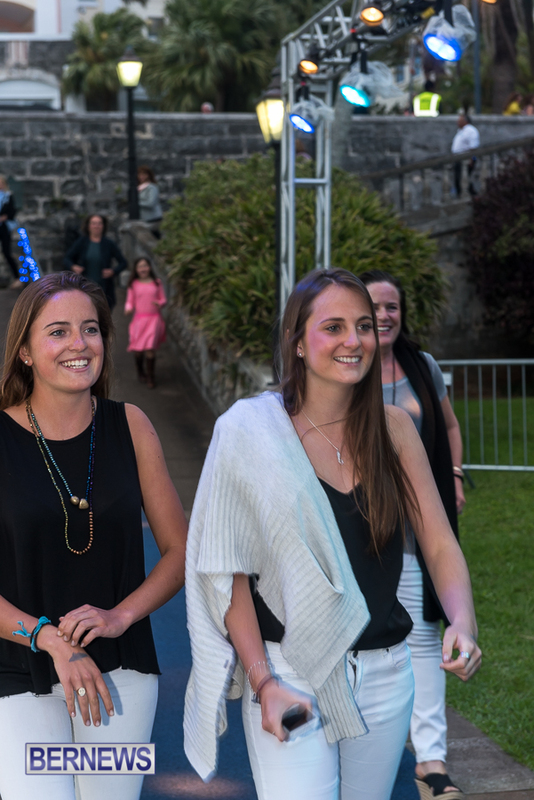 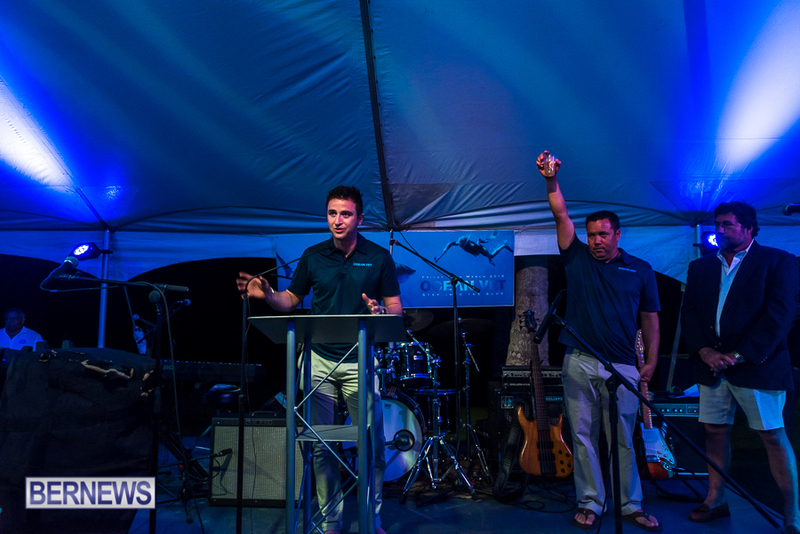 On Friday night, Barr’s Bay Park in Hamilton played host to the international premiere of the TV series Ocean Vet, with the event serving as a celebration of the completion of the series, allowing attendees to view an exclusive viewing of an episode with a specially recorded video introduction from series narrator Michael Douglas. 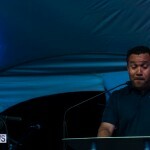 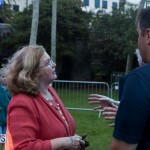 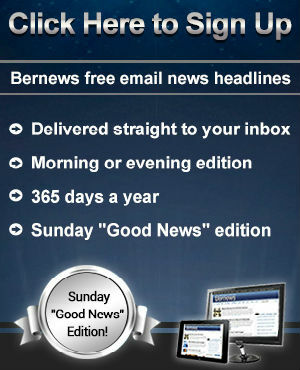 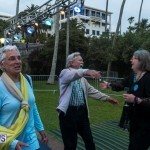 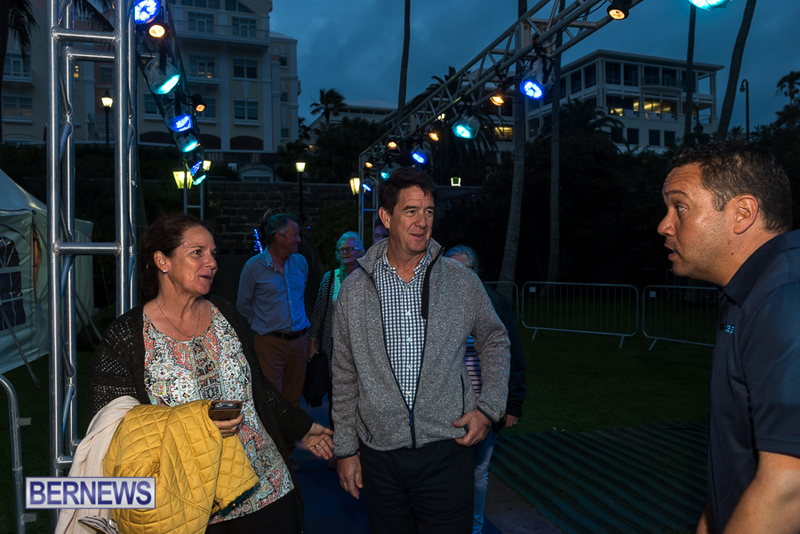 “Those familiar with the project will know it is presented by one of Bermuda’s late great personalities, Dr Neil Burnie. 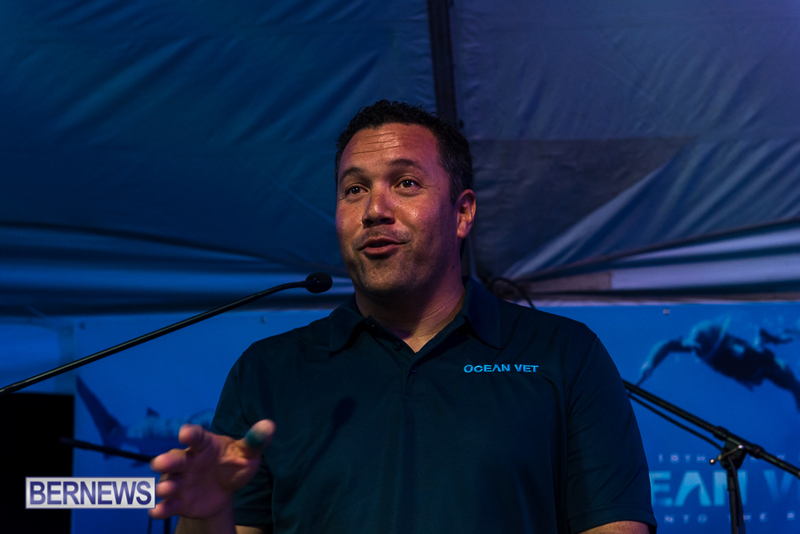 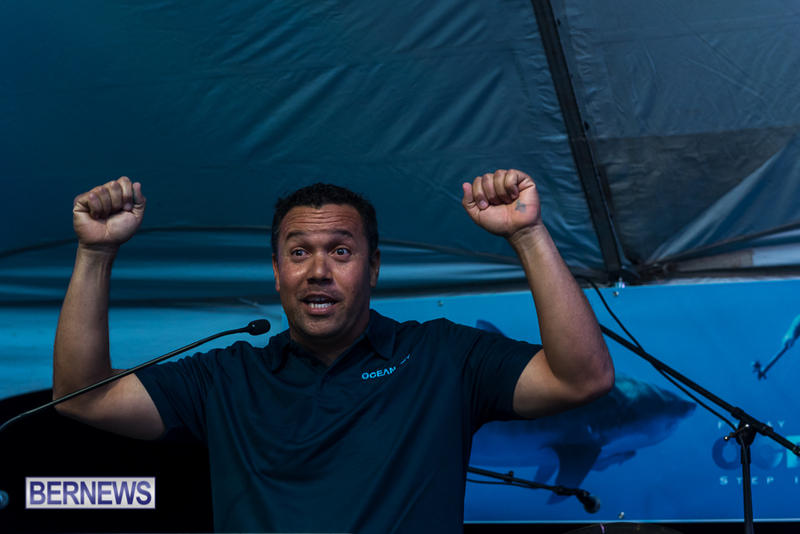 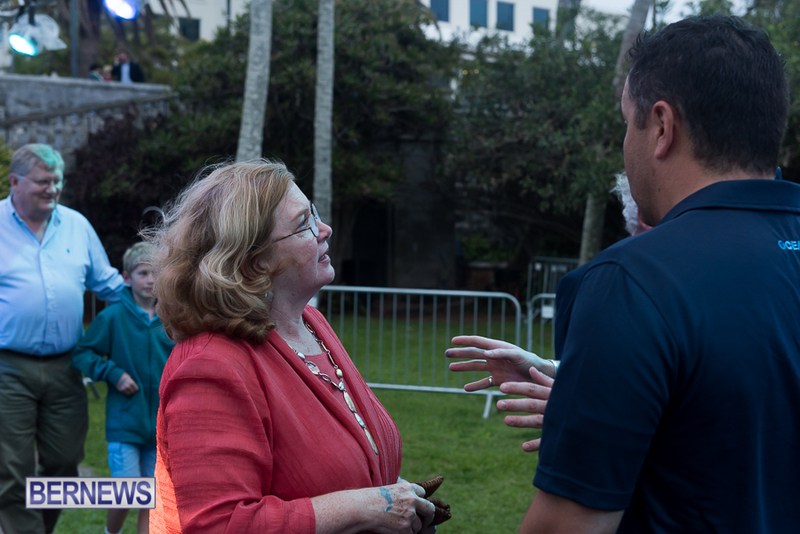 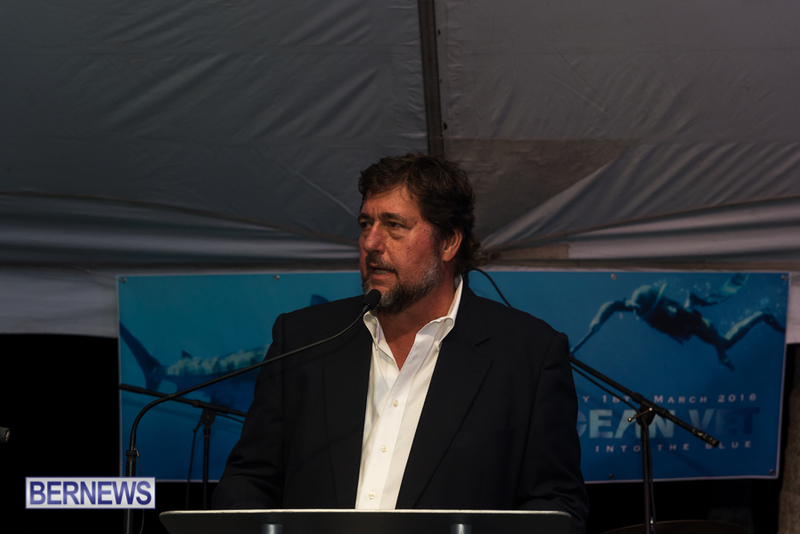 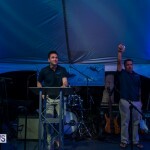 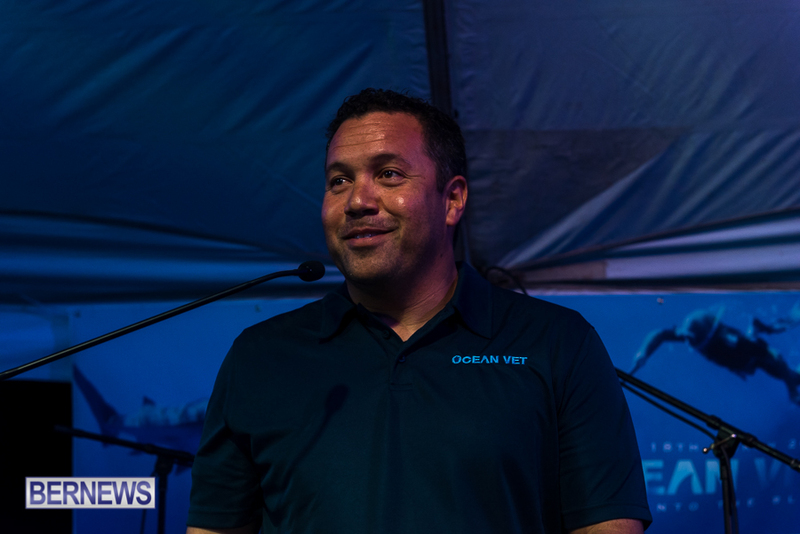 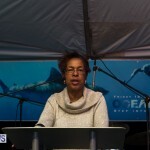 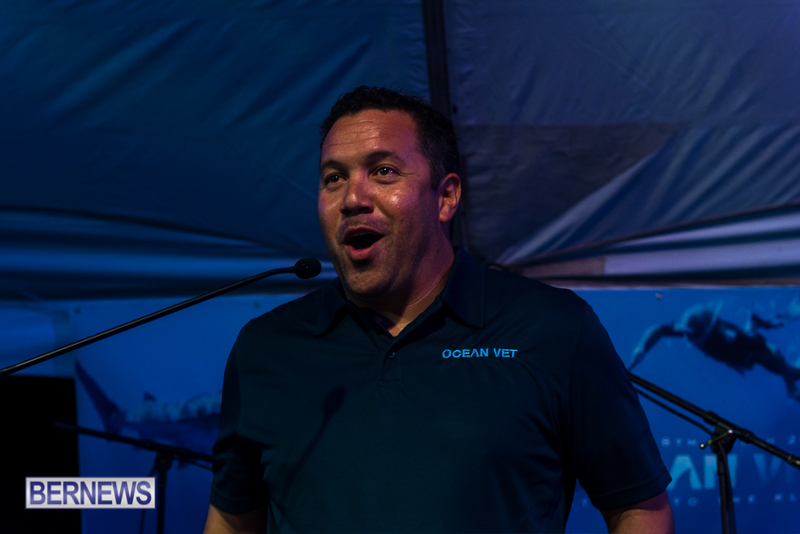 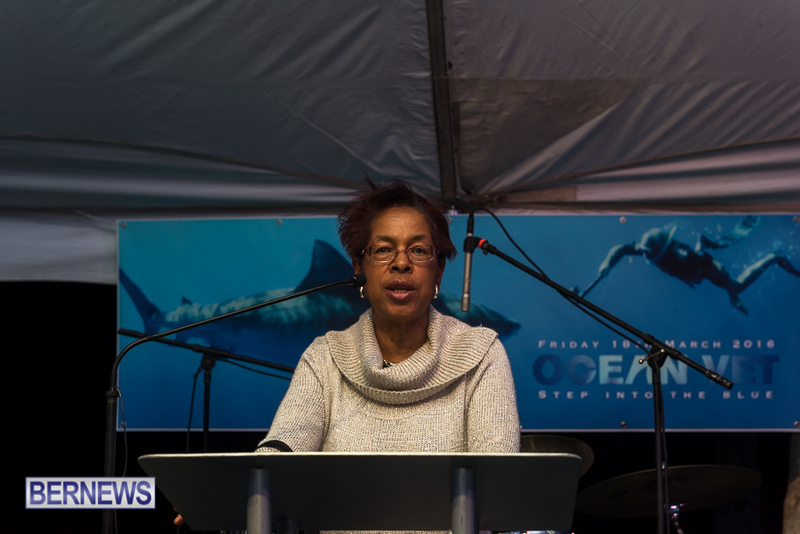 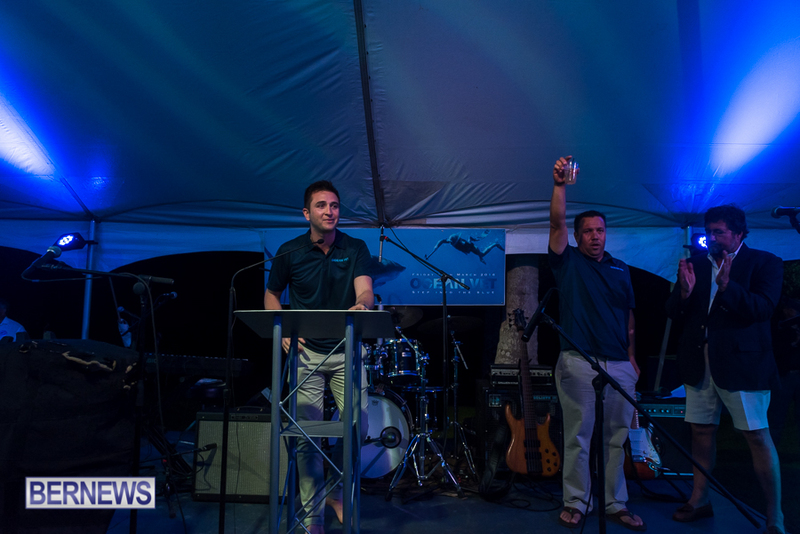 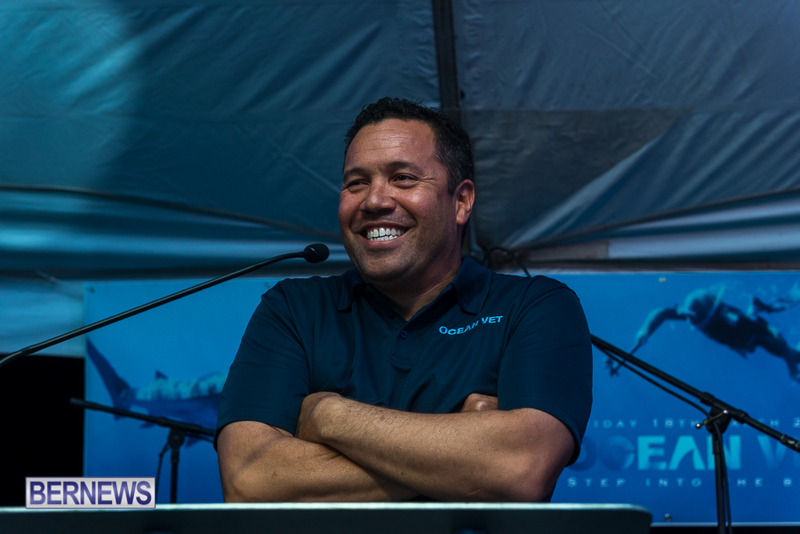 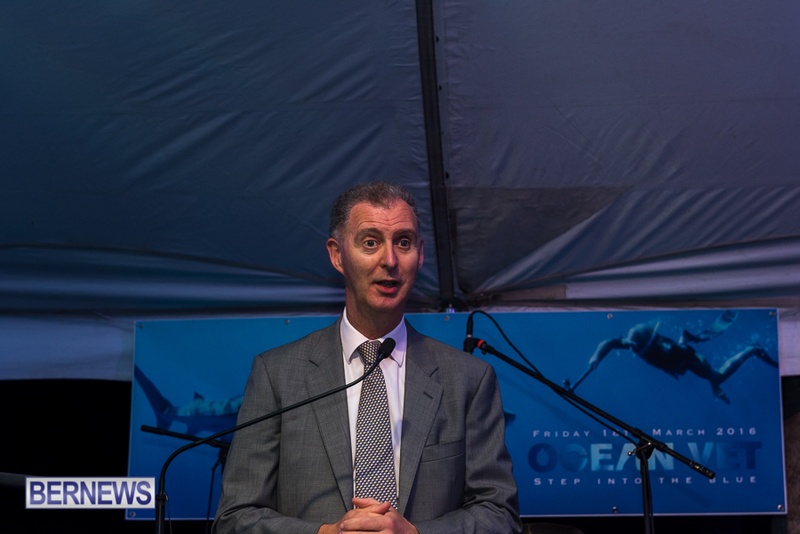 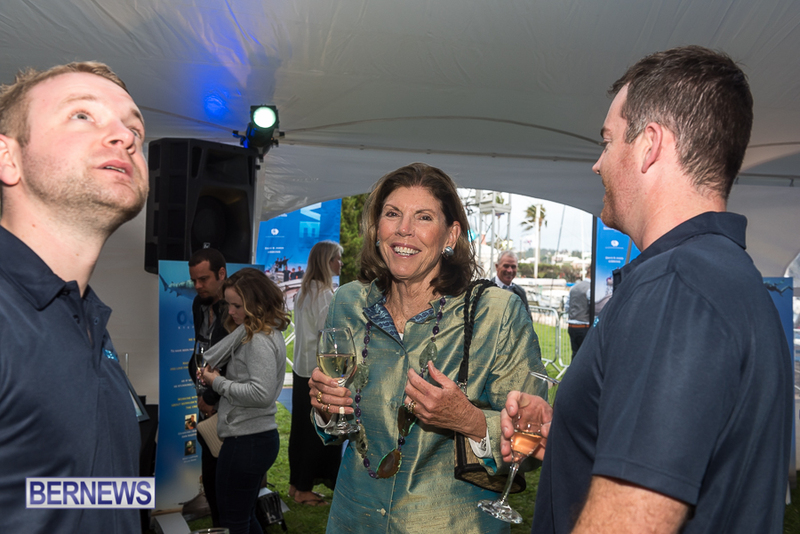 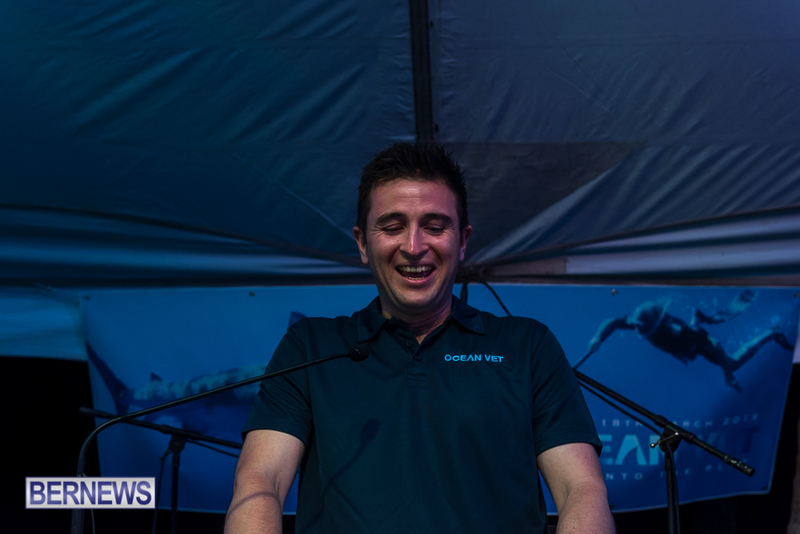 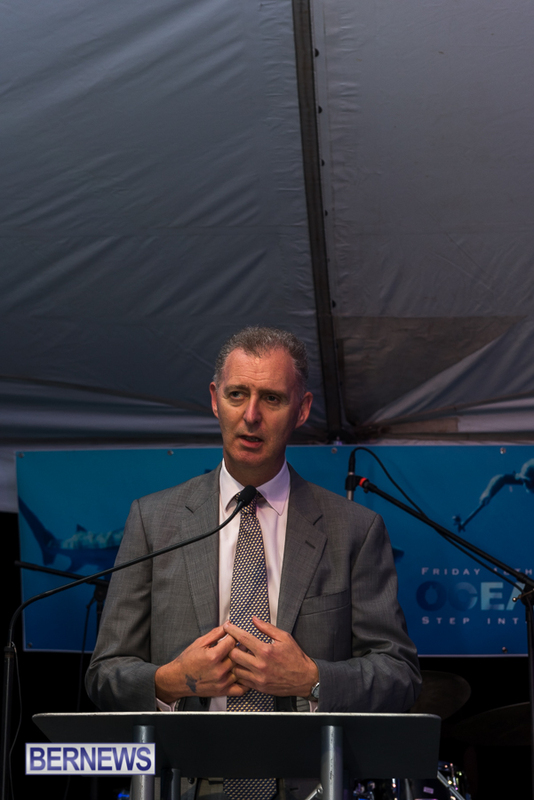 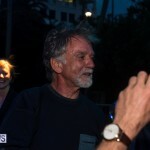 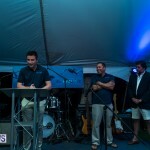 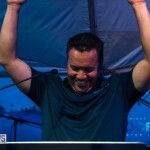 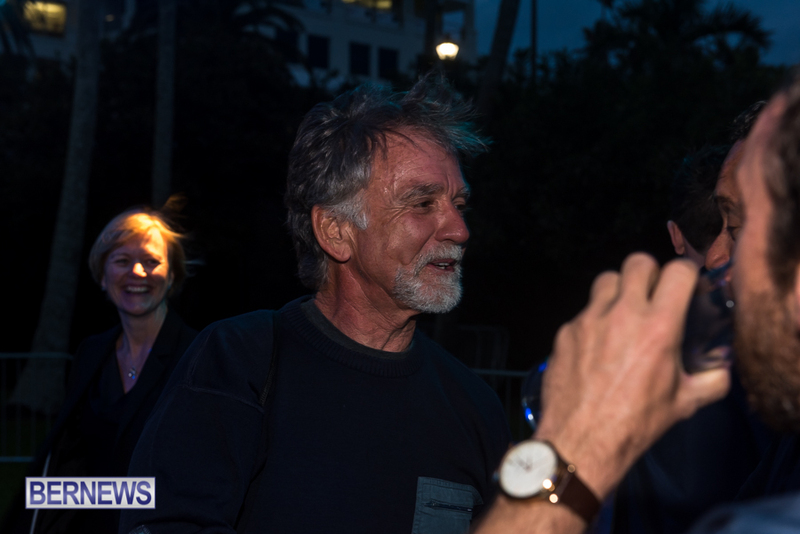 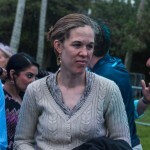 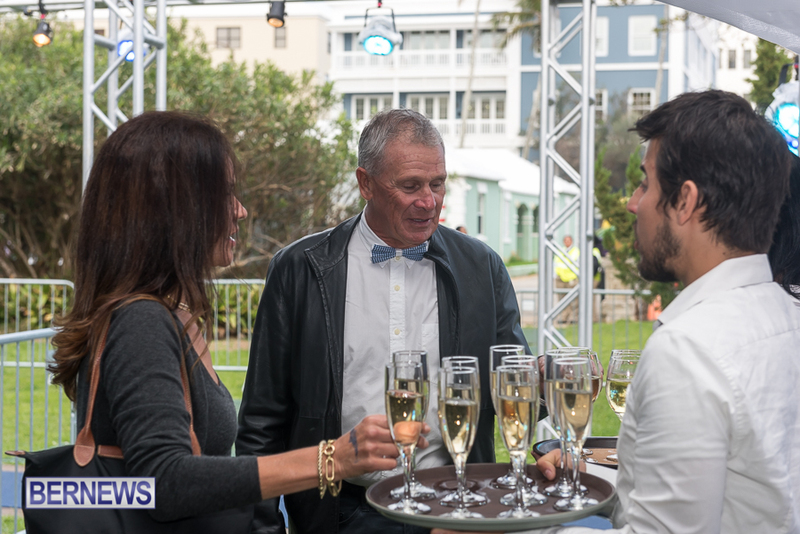 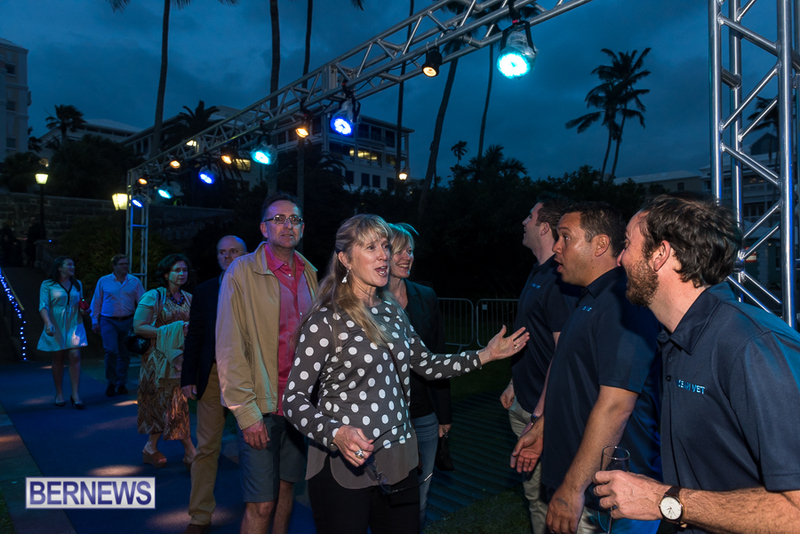 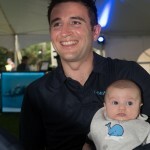 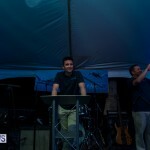 The event paid tribute to Neil’s amazing contribution to the series and his passion for the different marine species he helped throughout its creation,” a spokesperson said. 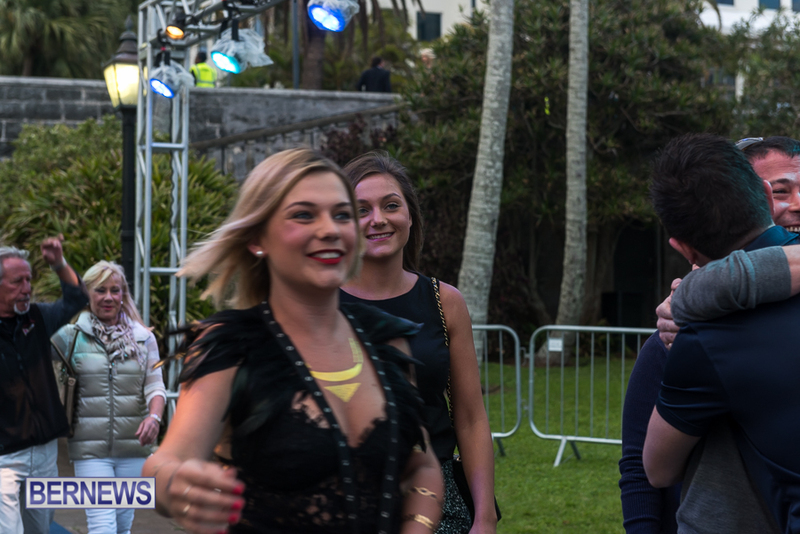 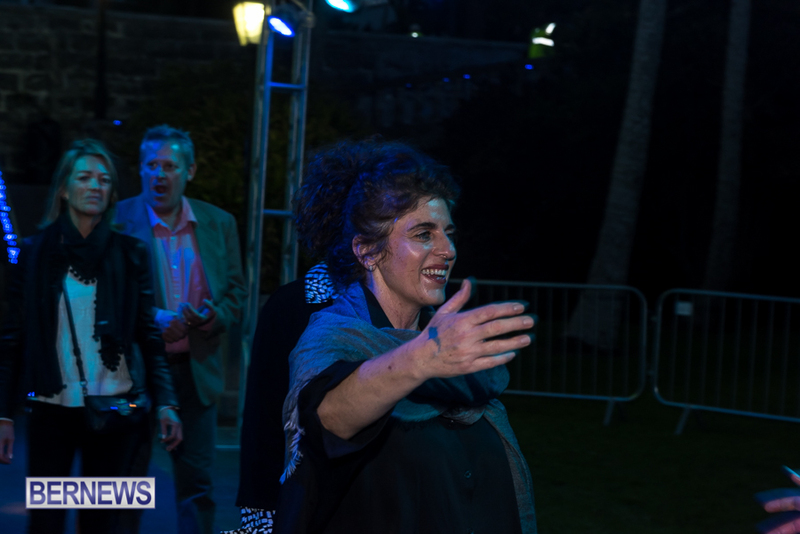 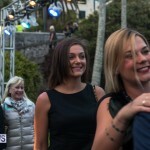 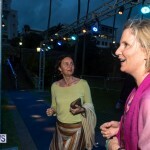 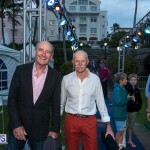 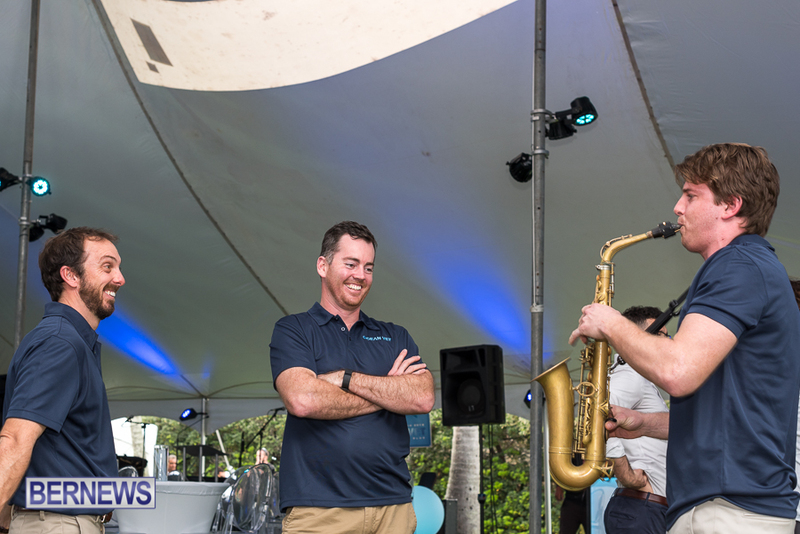 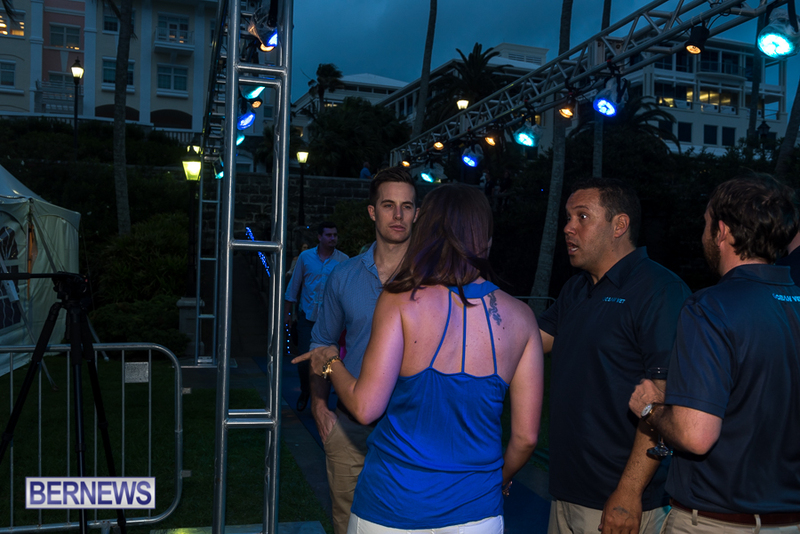 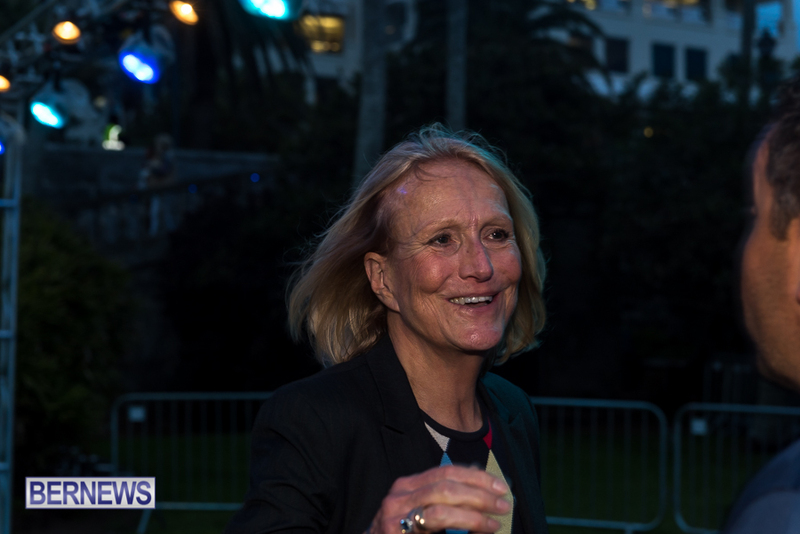 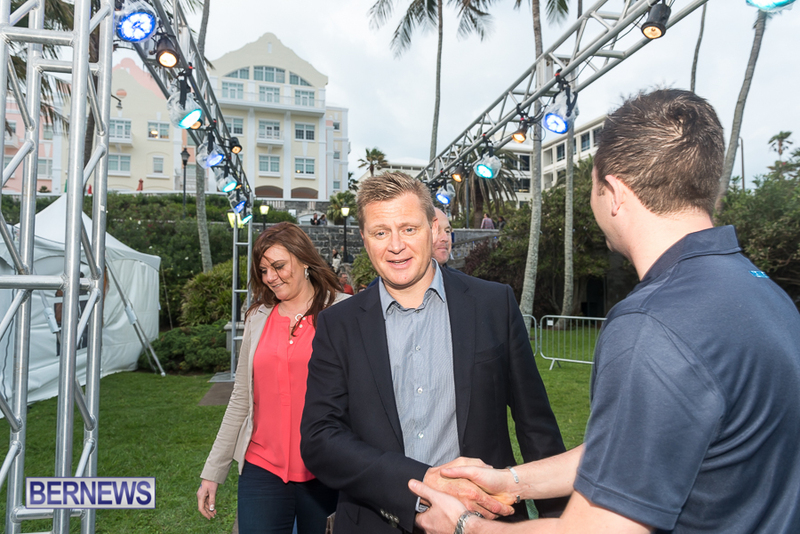 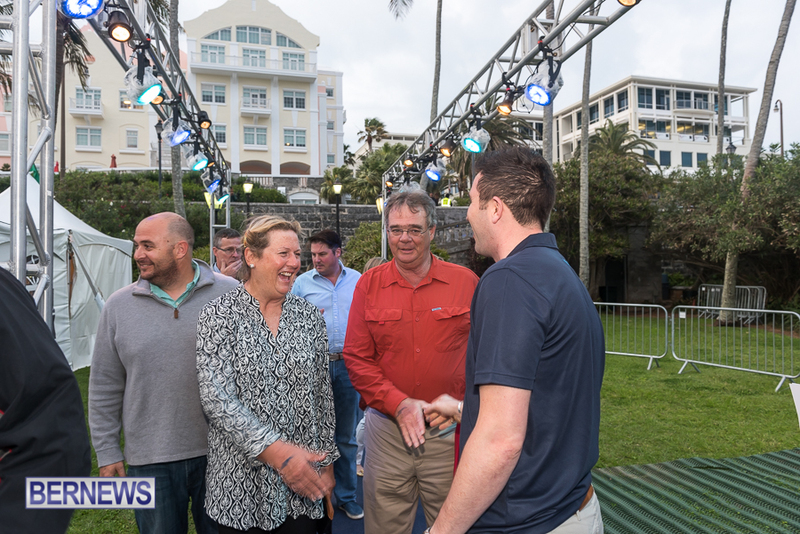 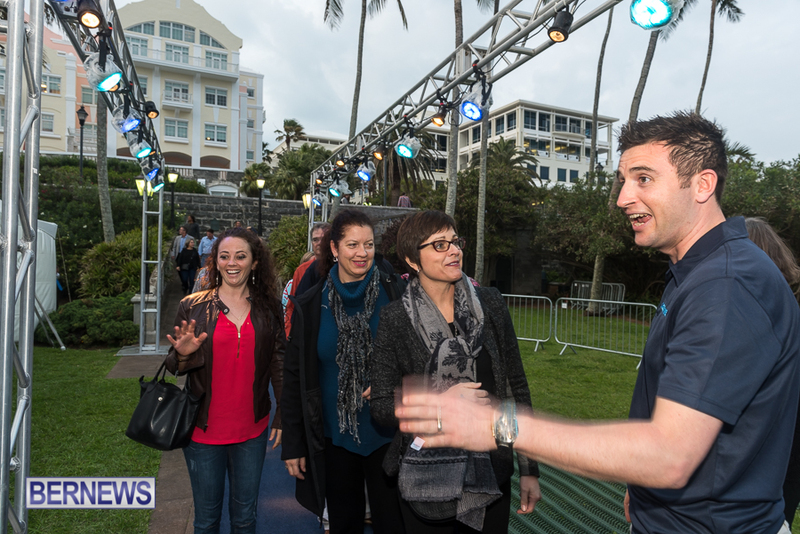 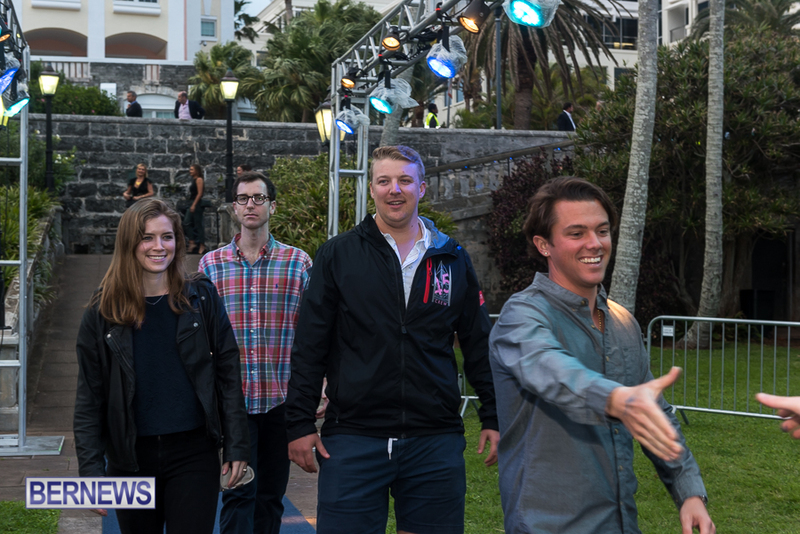 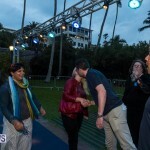 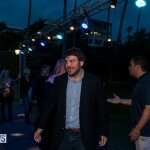 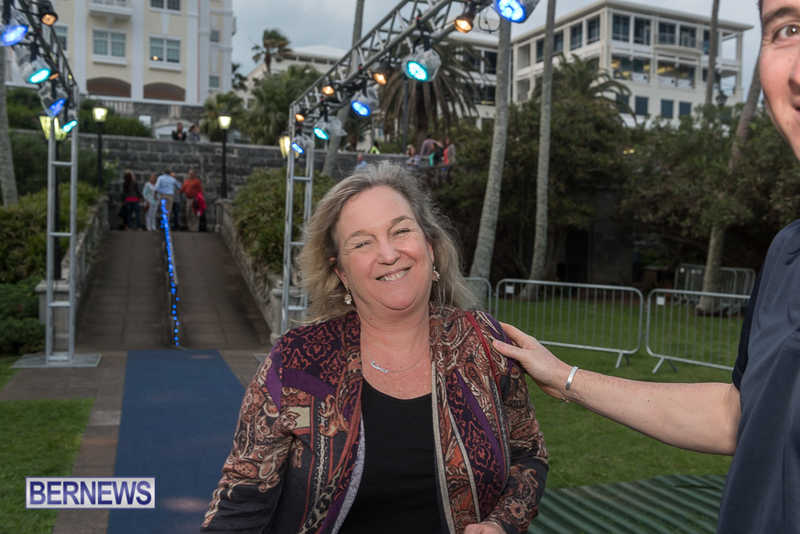 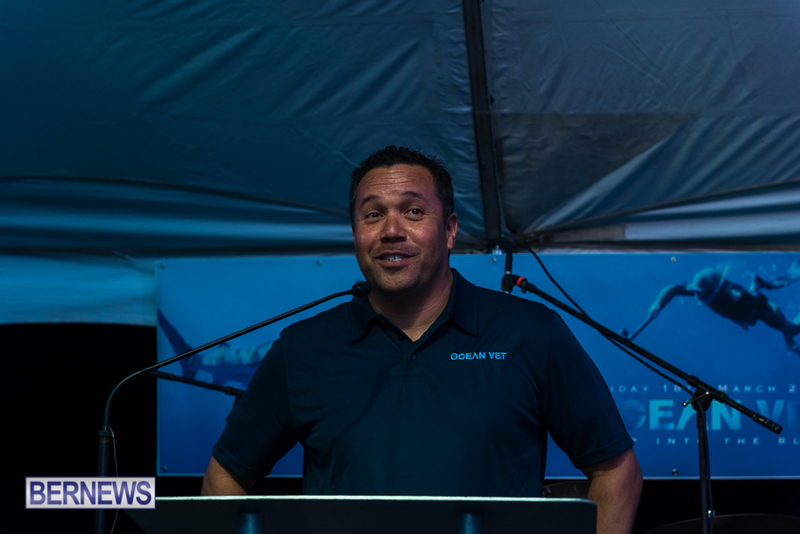 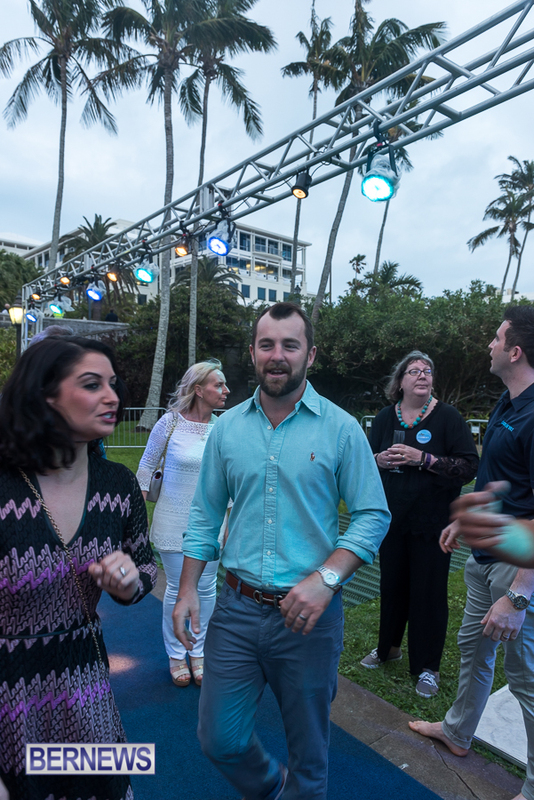 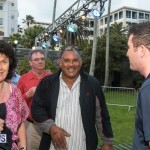 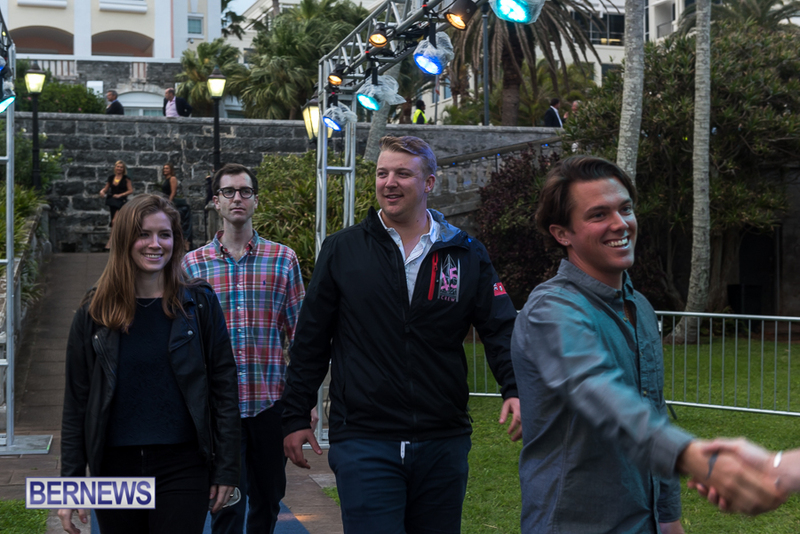 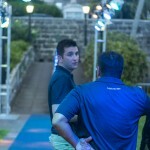 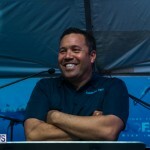 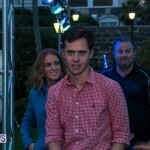 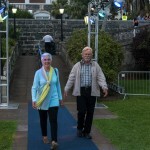 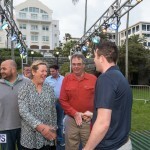 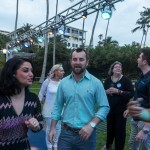 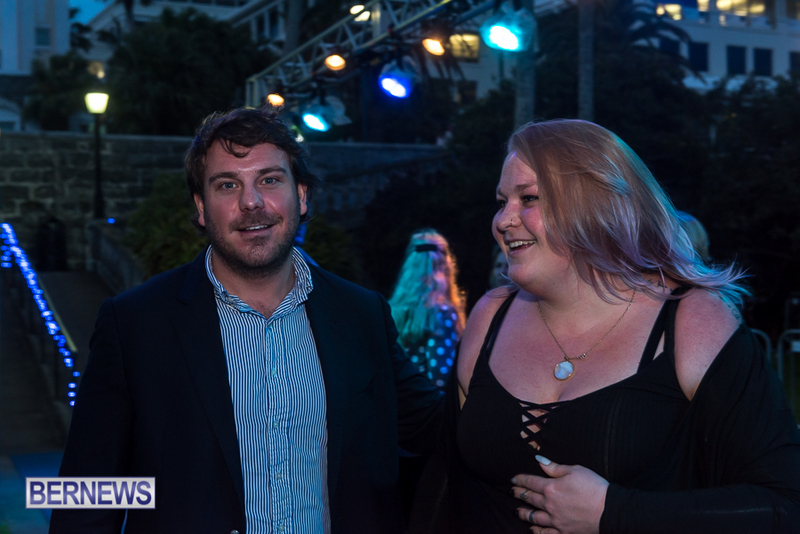 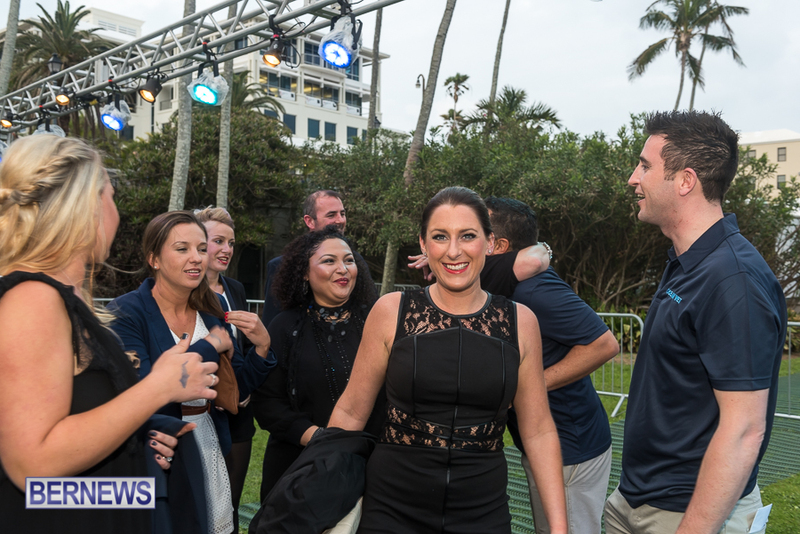 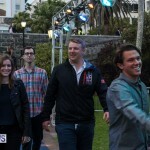 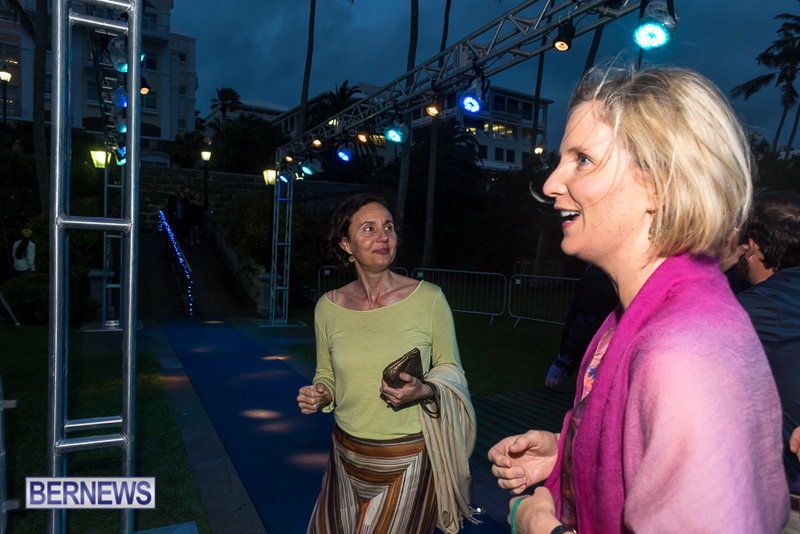 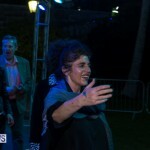 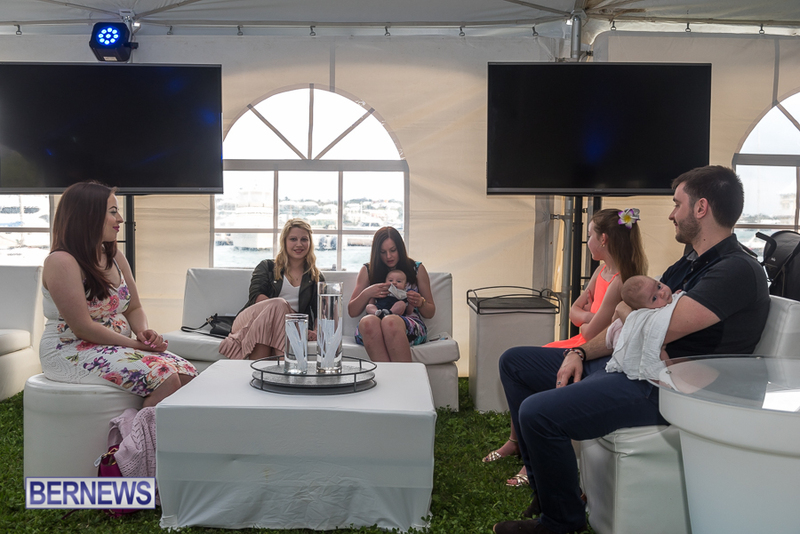 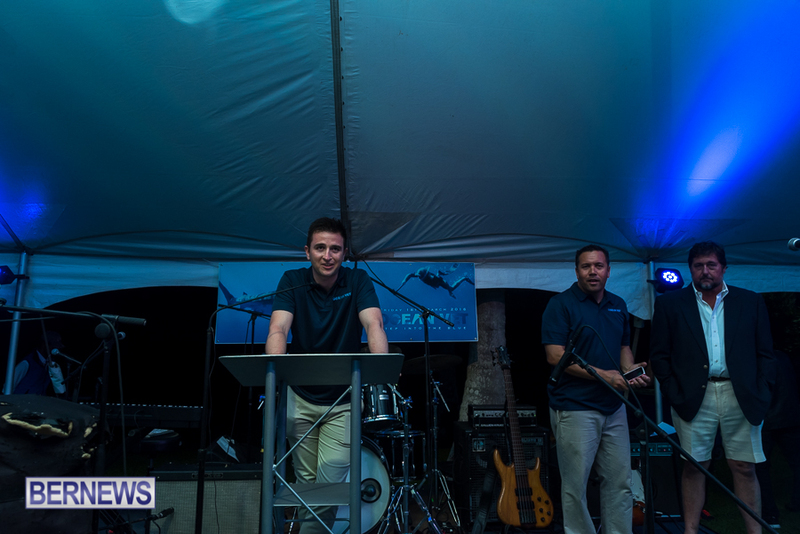 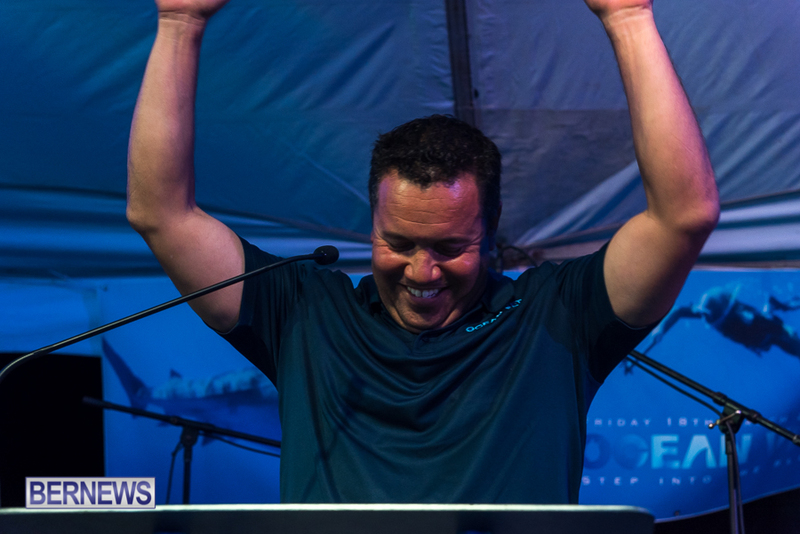 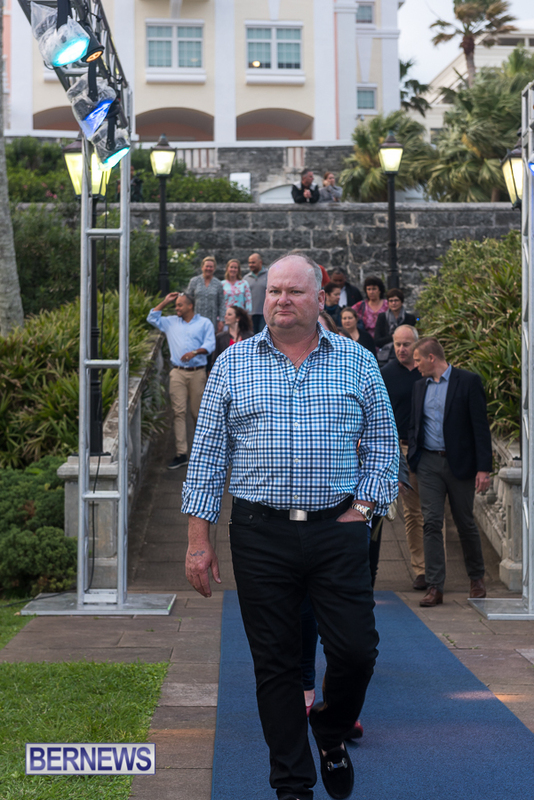 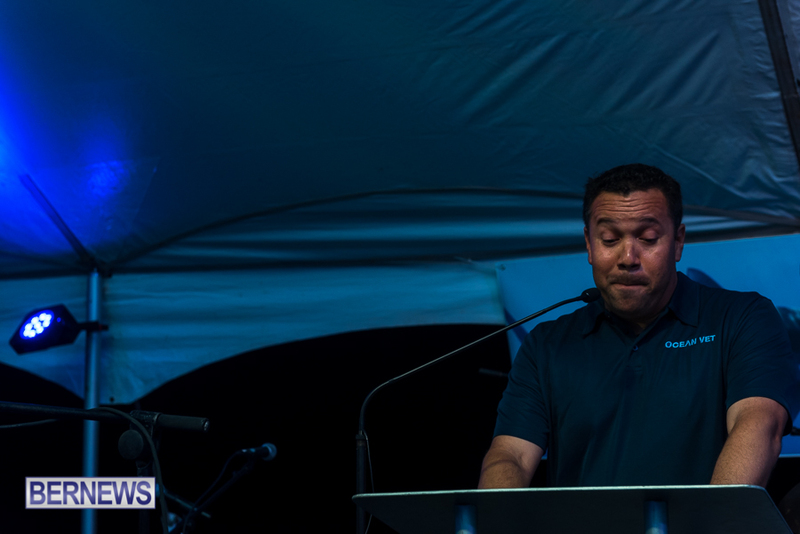 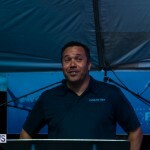 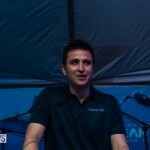 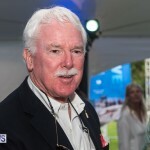 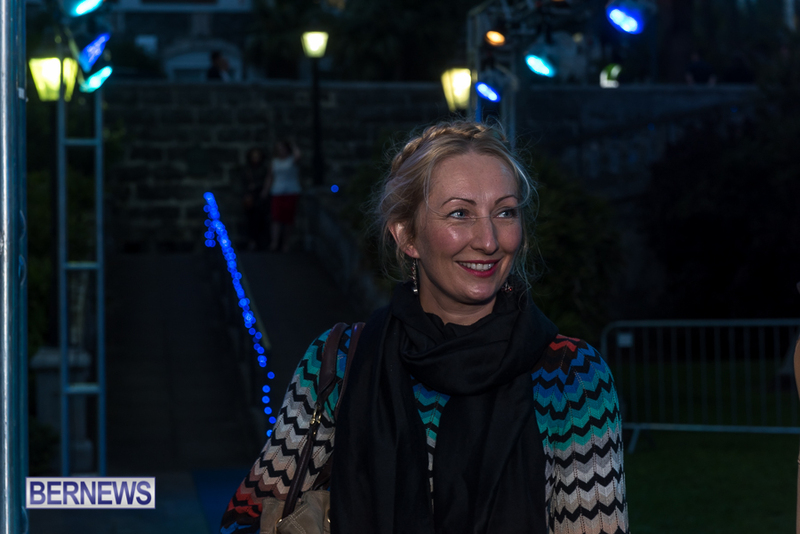 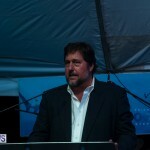 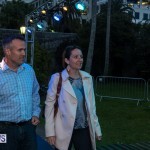 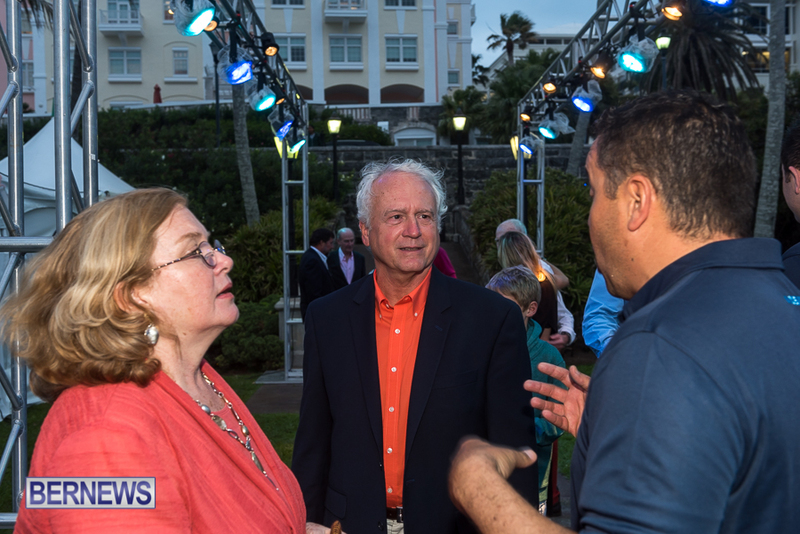 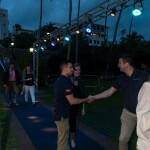 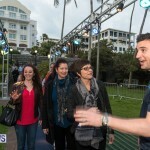 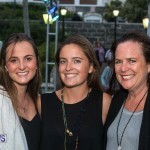 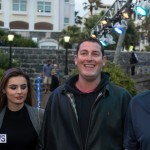 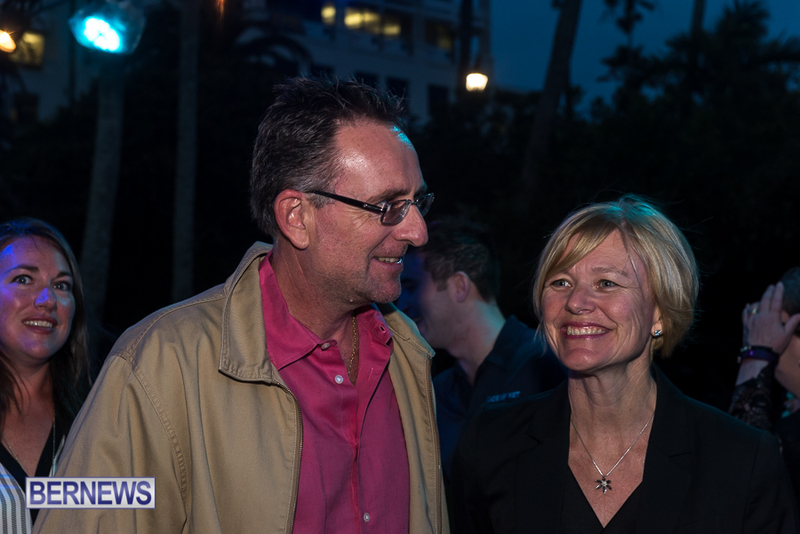 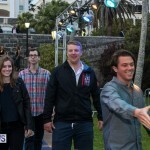 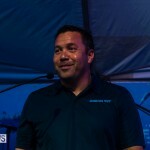 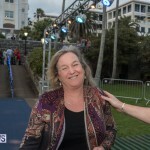 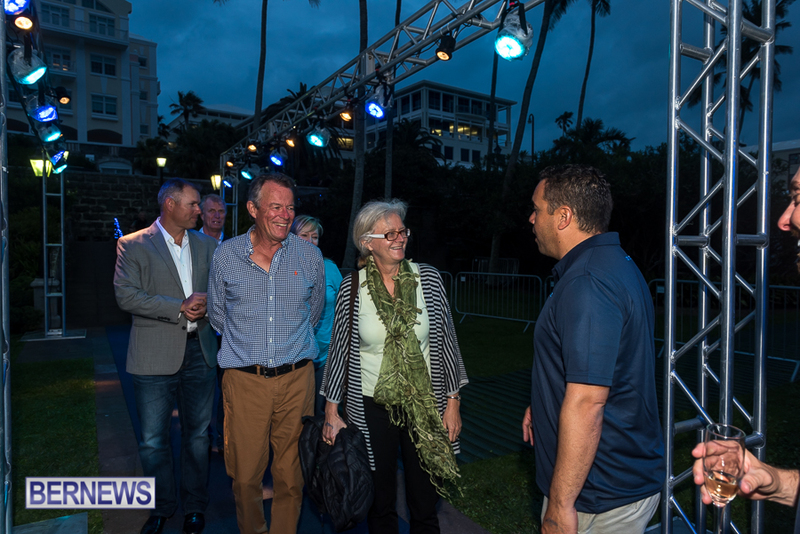 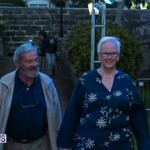 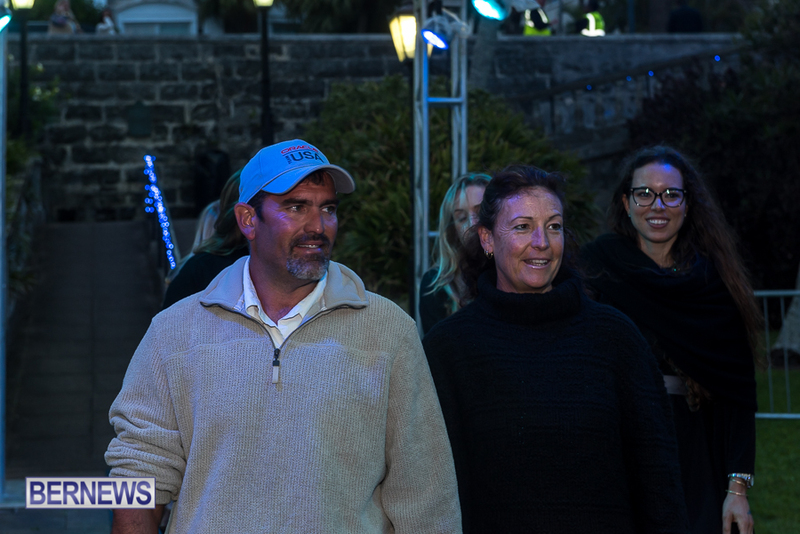 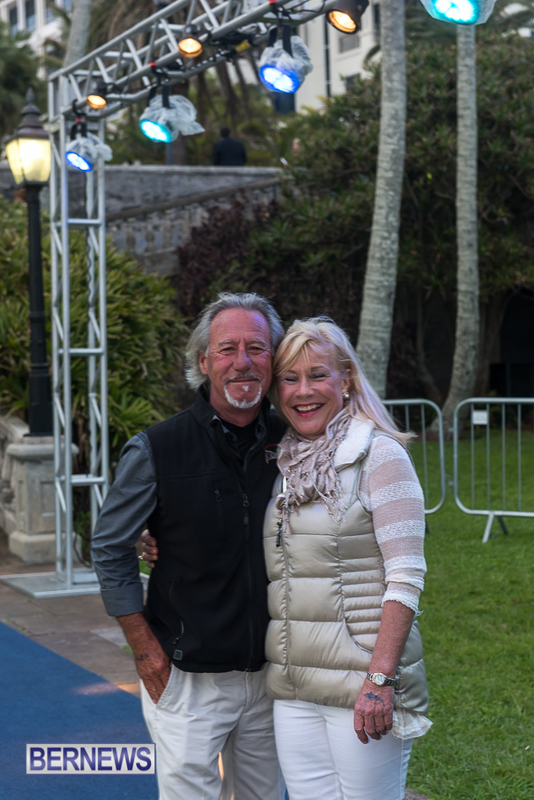 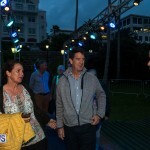 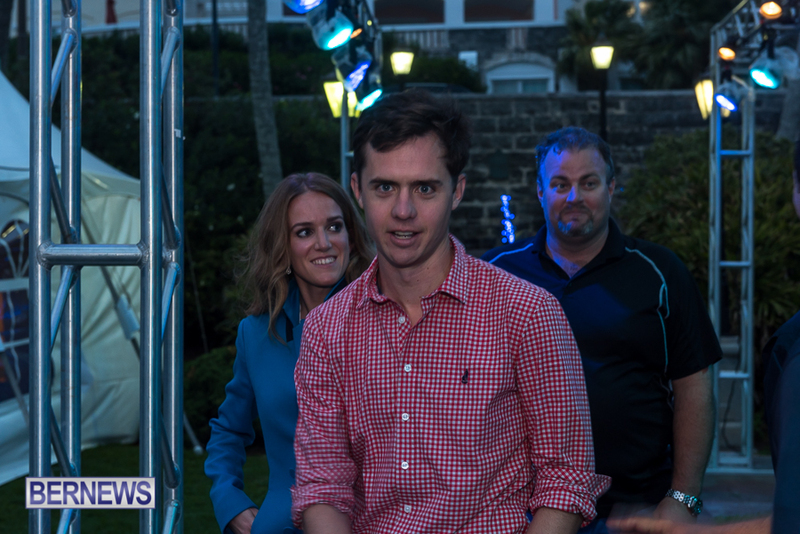 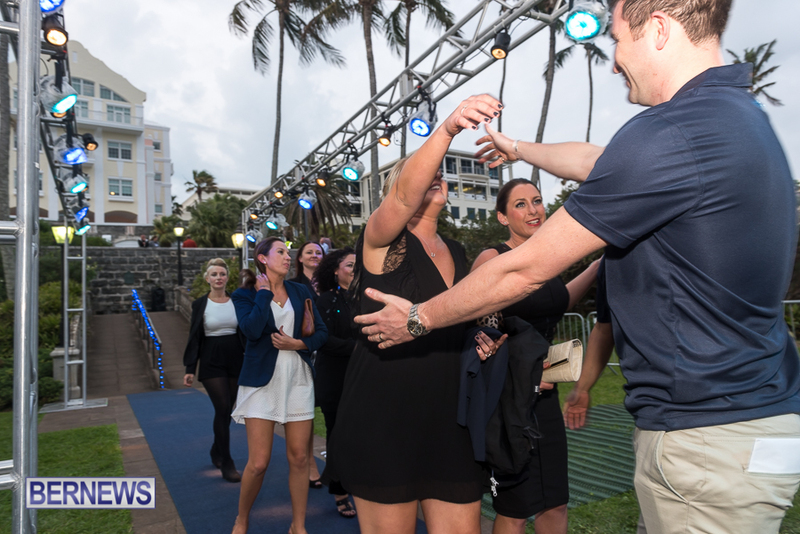 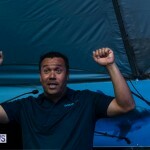 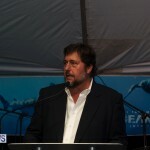 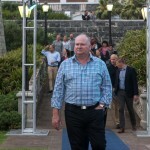 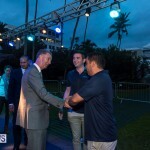 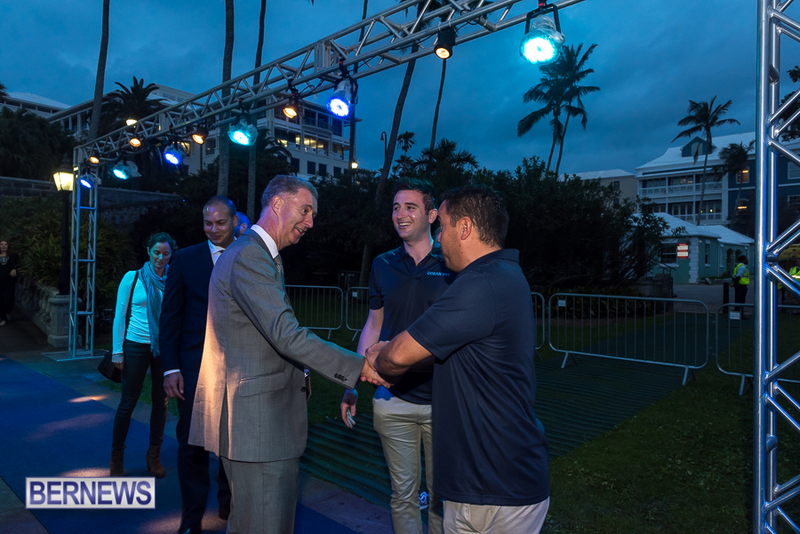 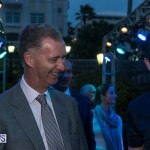 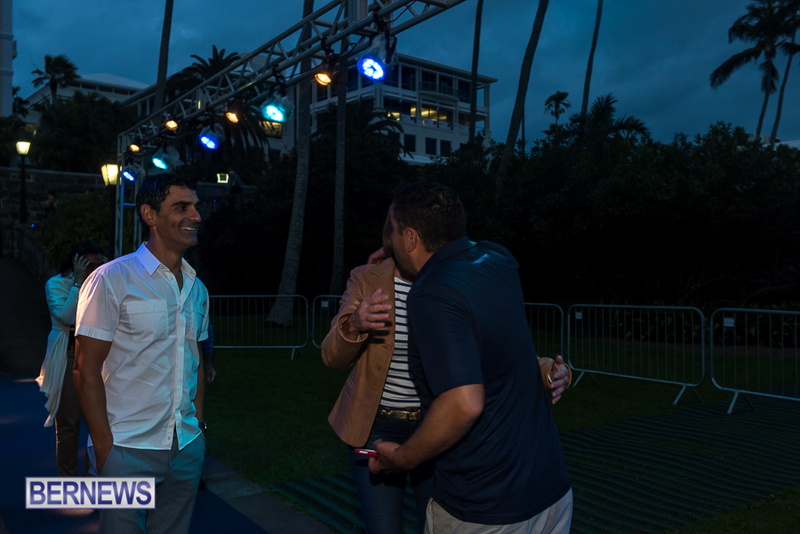 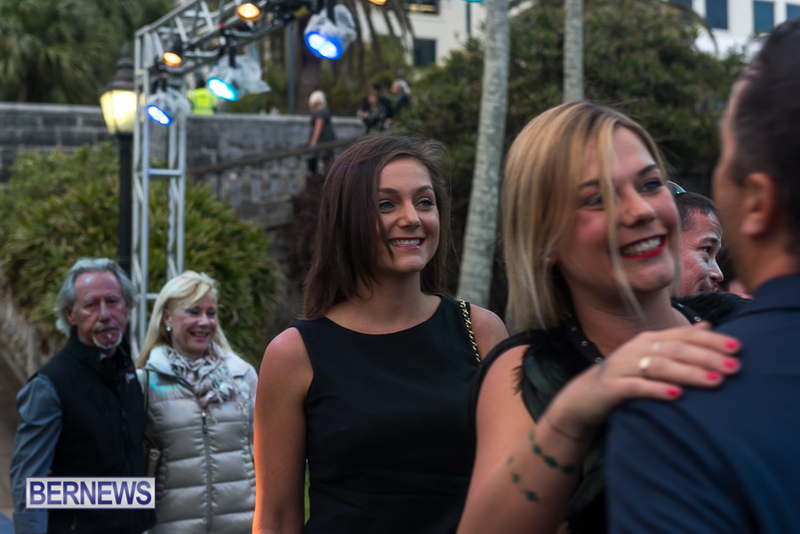 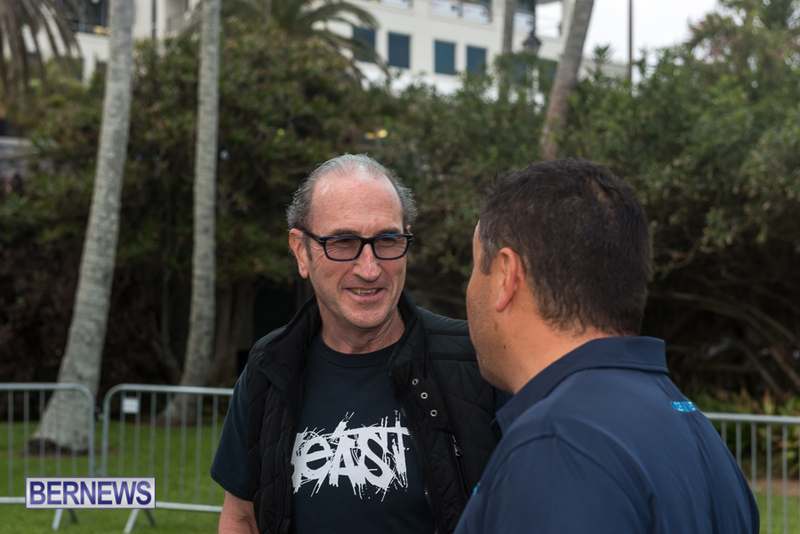 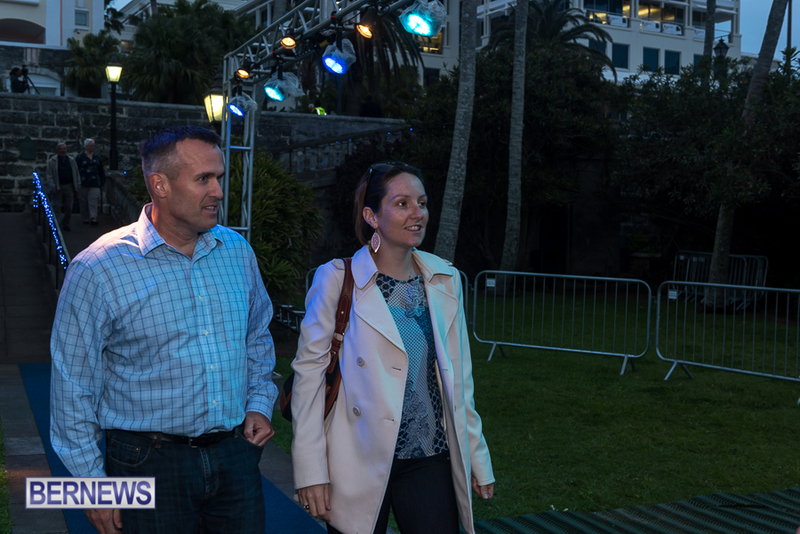 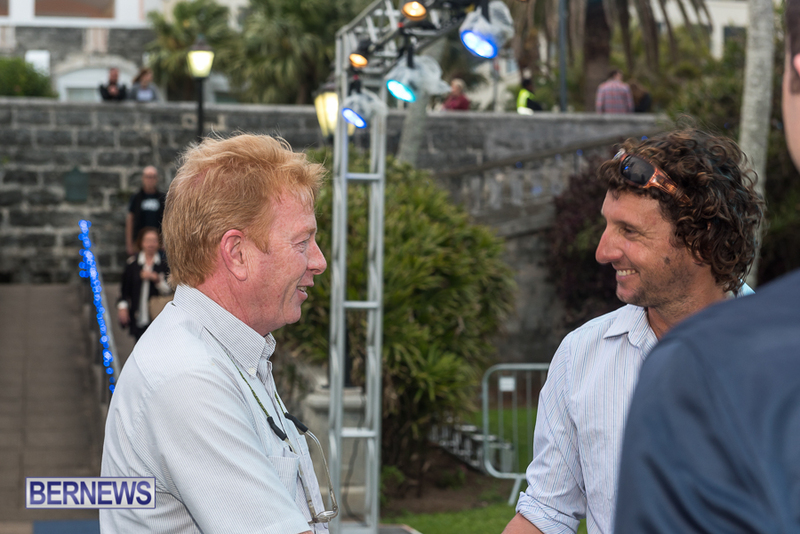 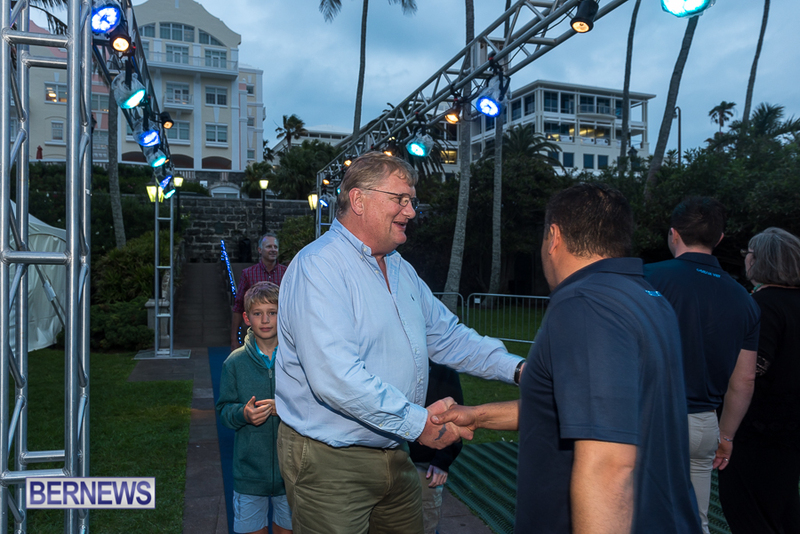 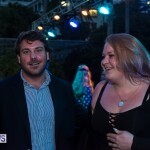 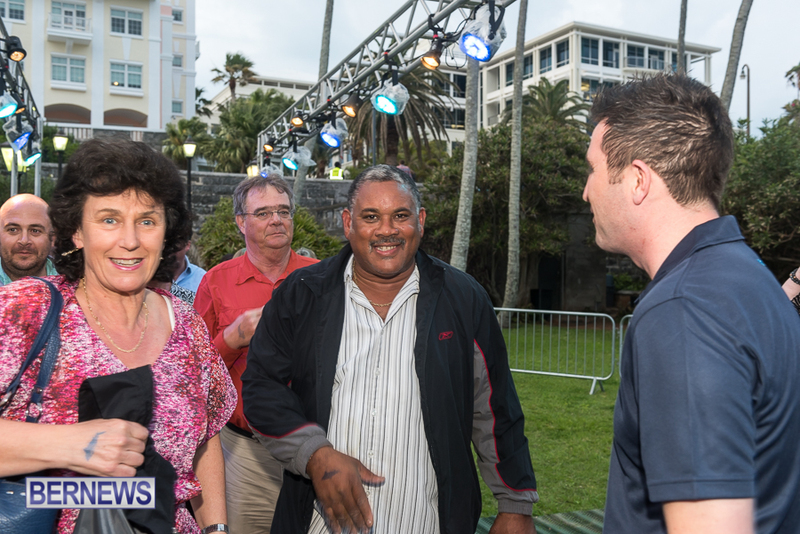 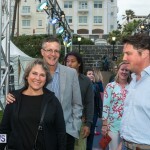 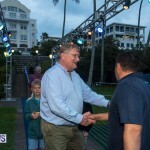 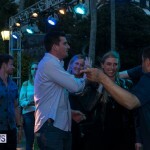 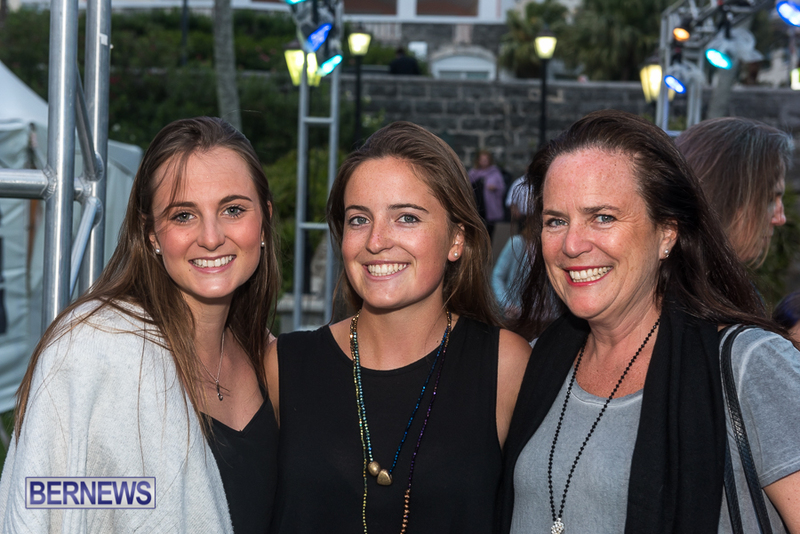 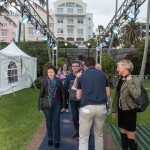 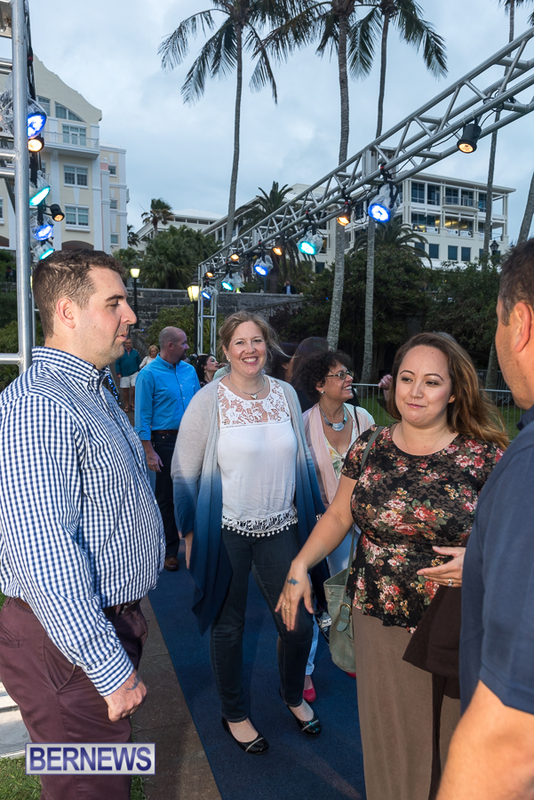 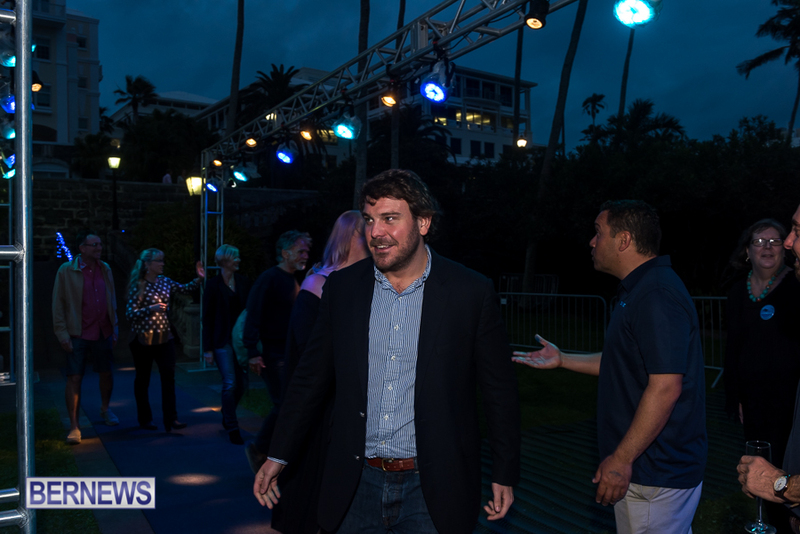 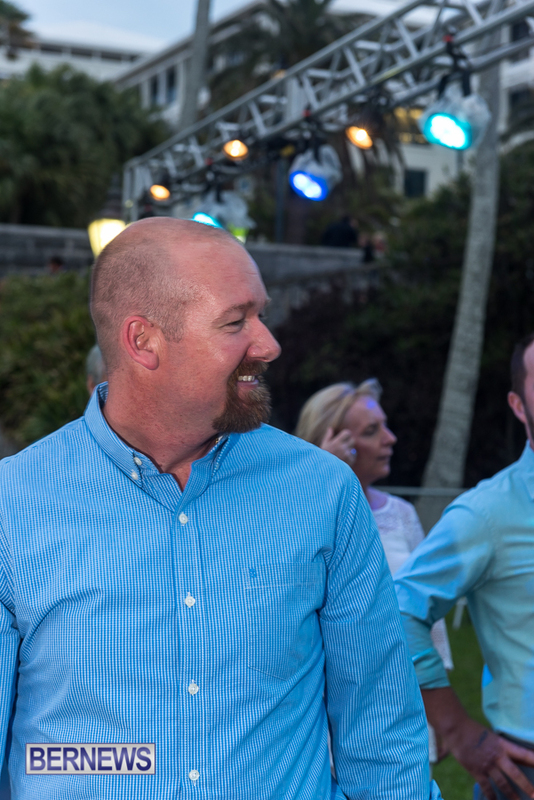 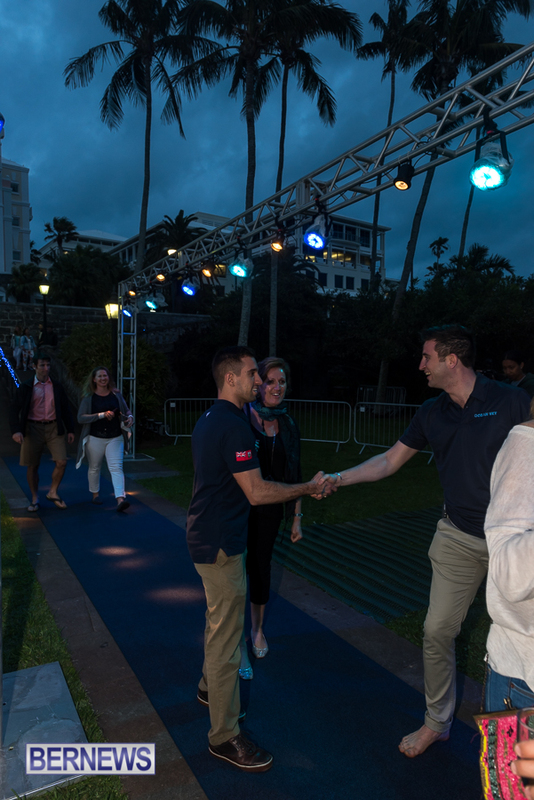 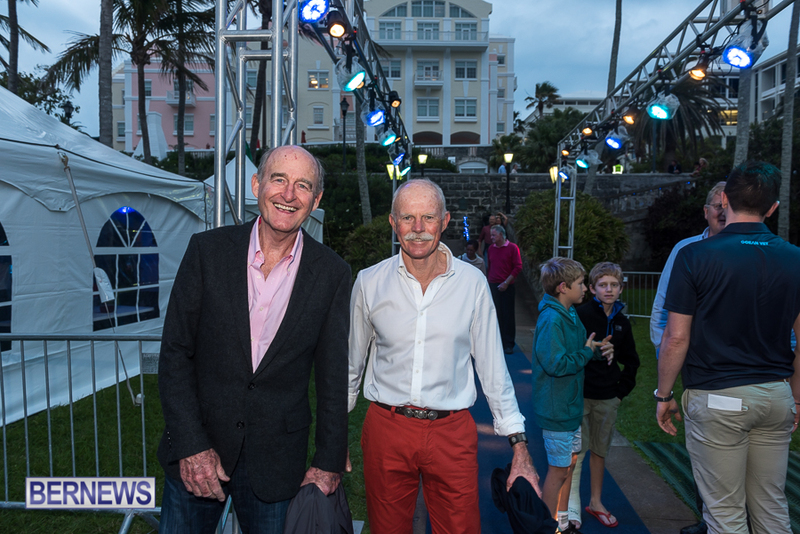 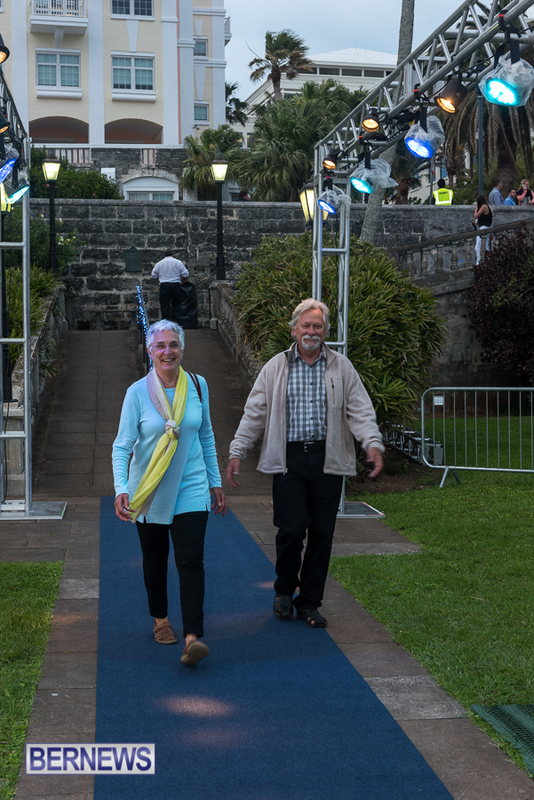 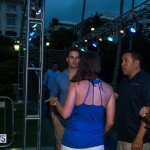 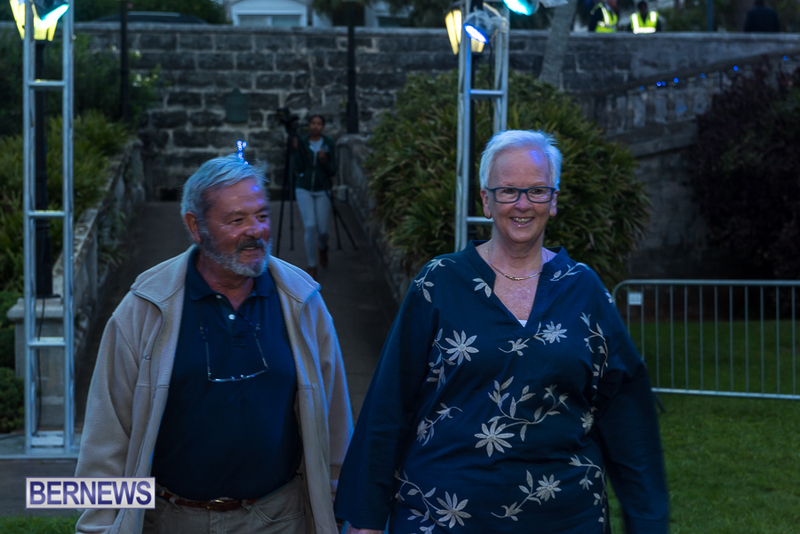 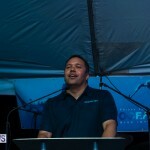 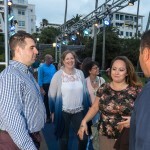 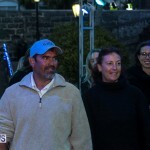 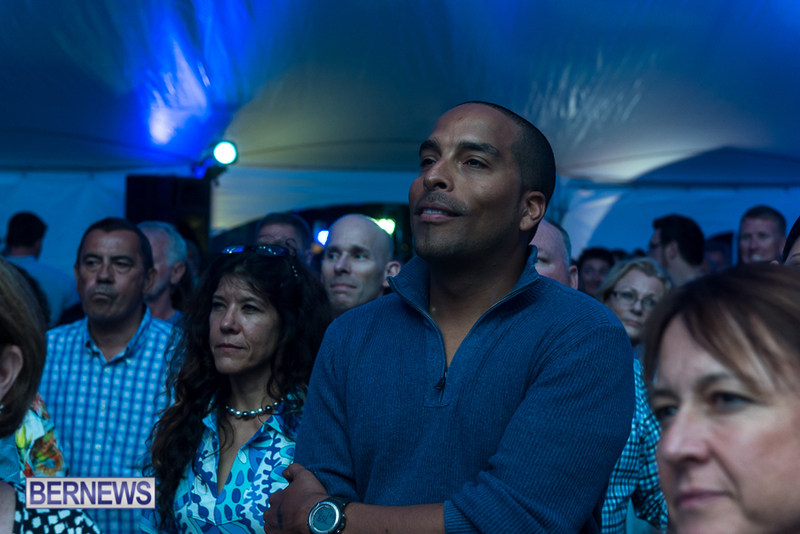 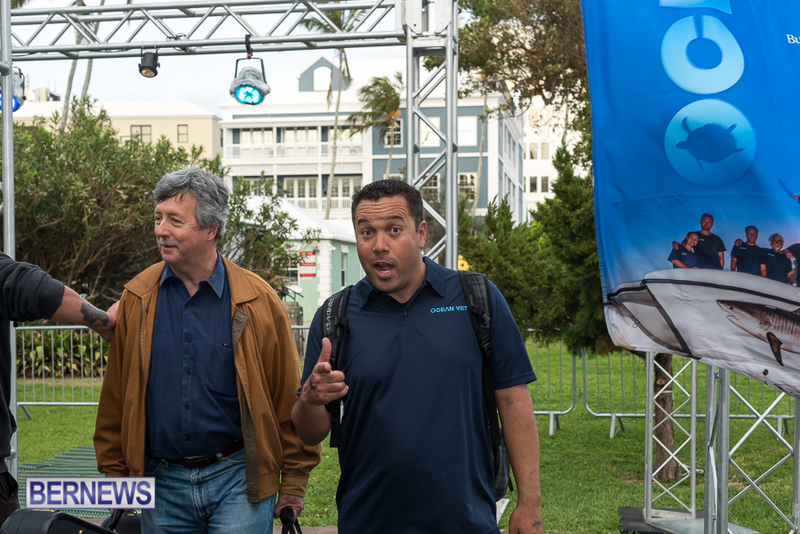 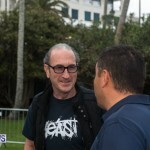 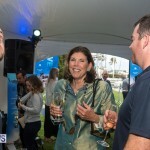 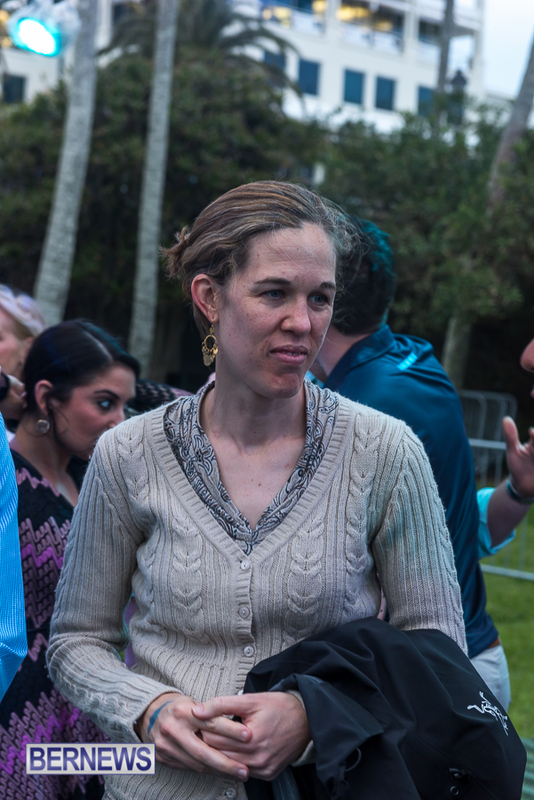 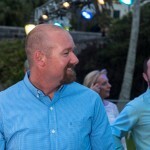 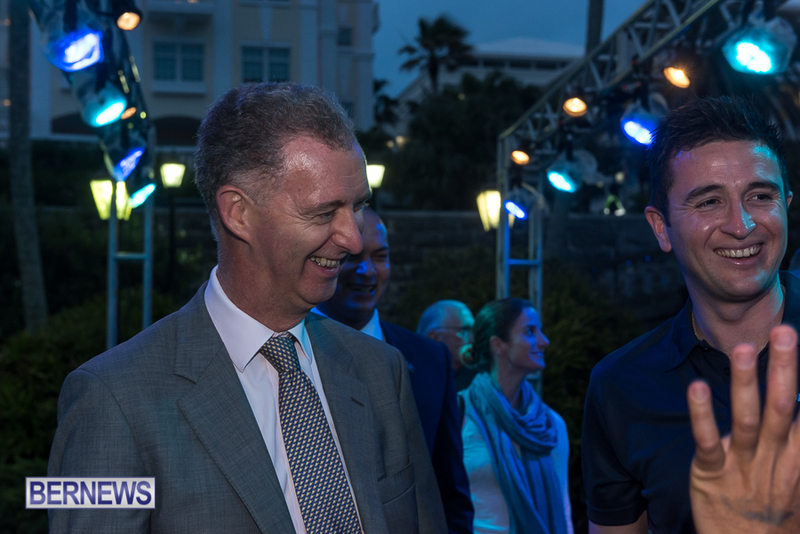 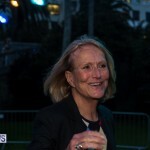 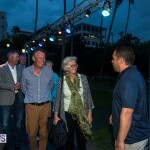 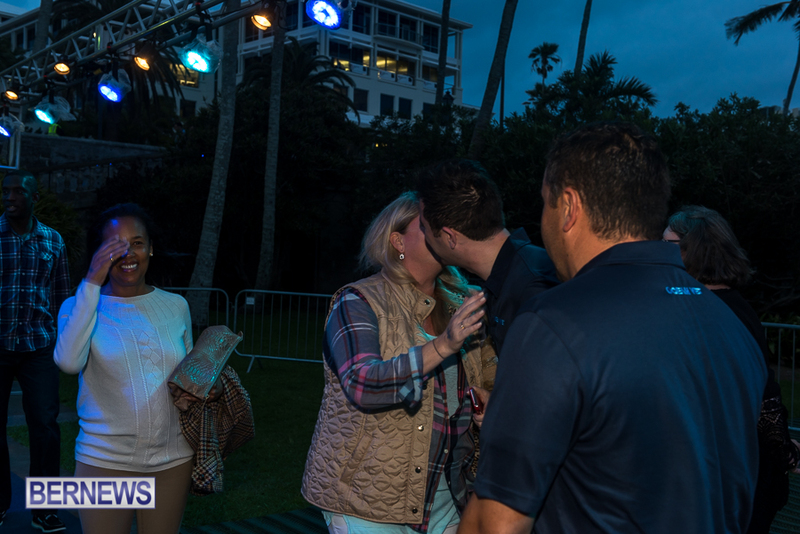 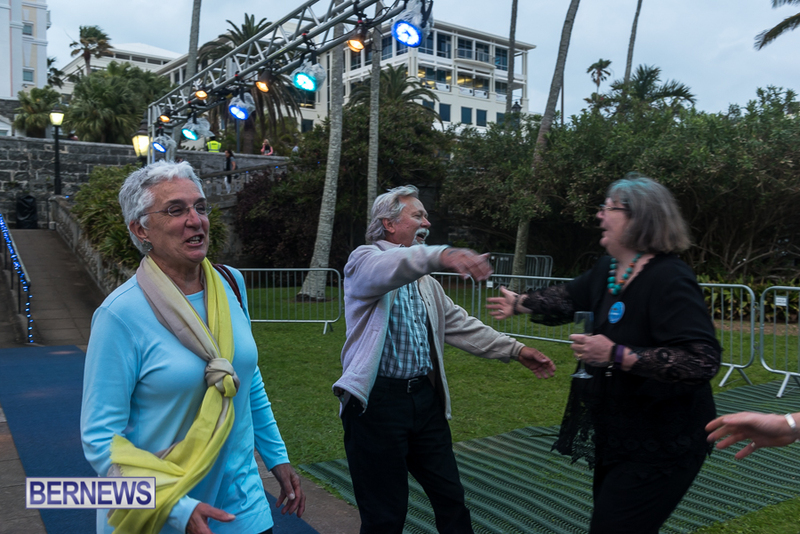 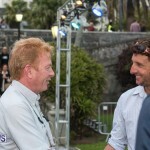 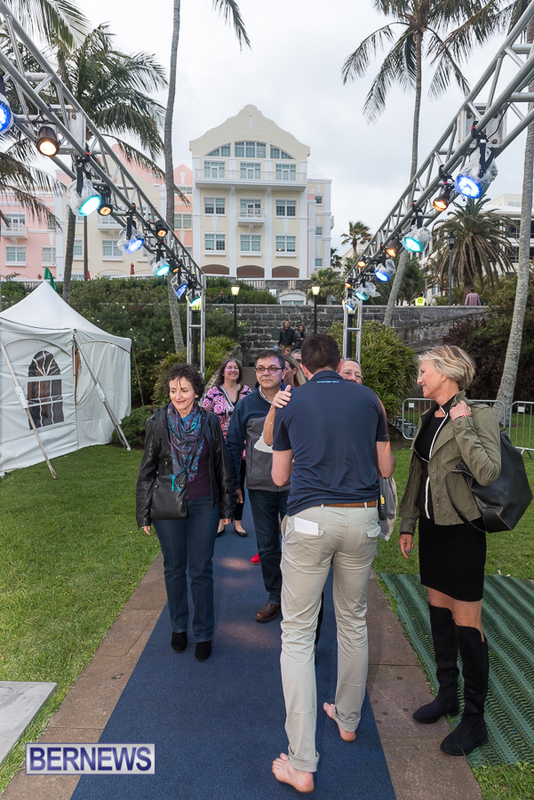 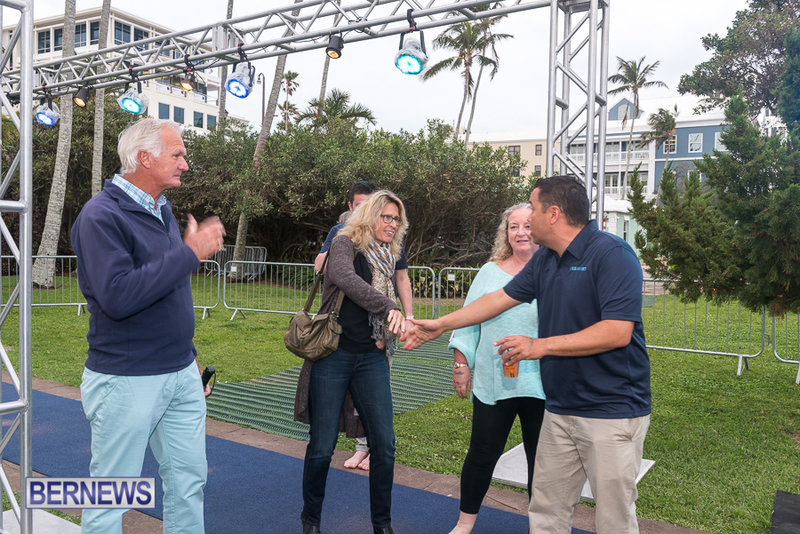 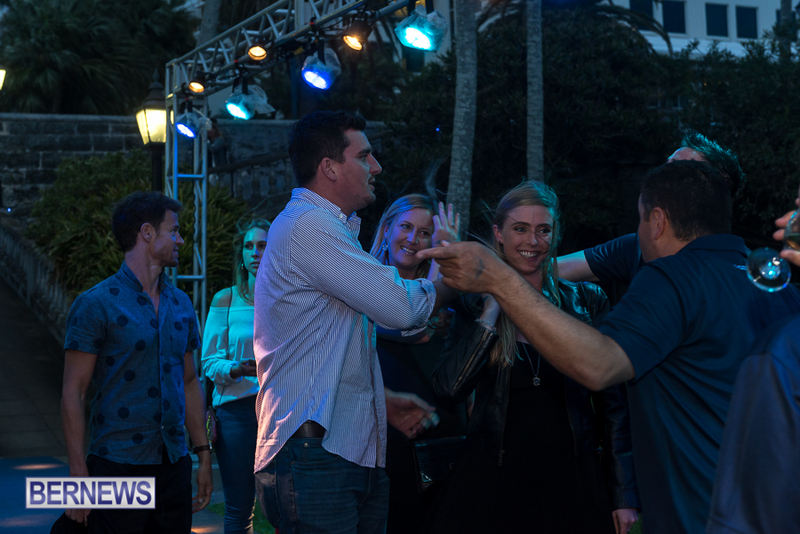 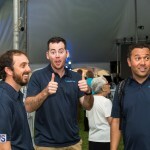 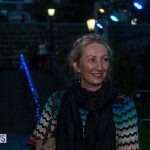 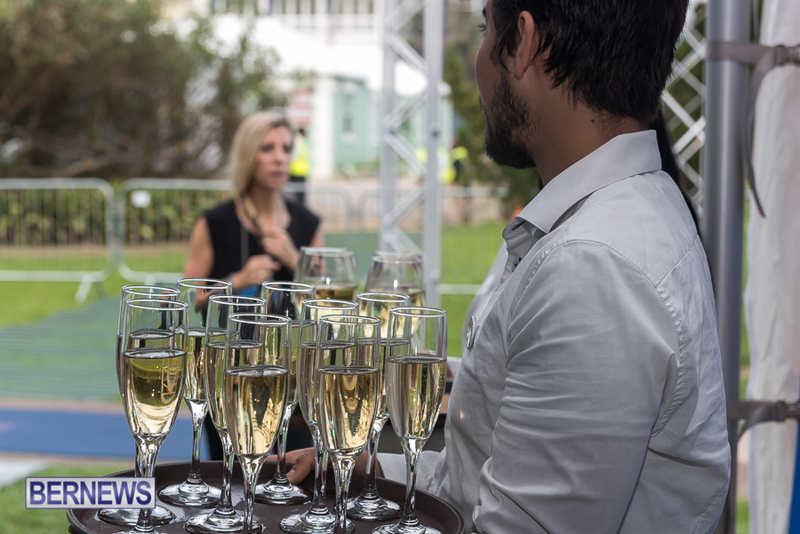 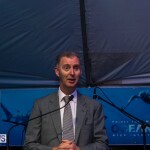 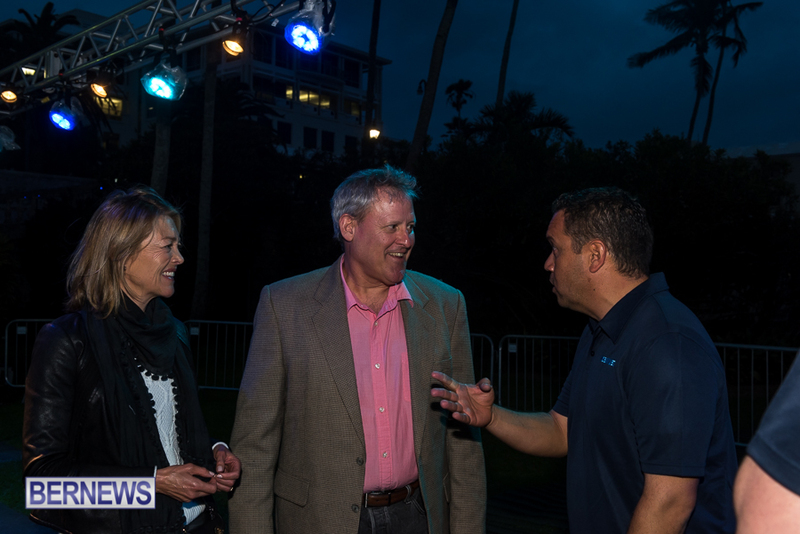 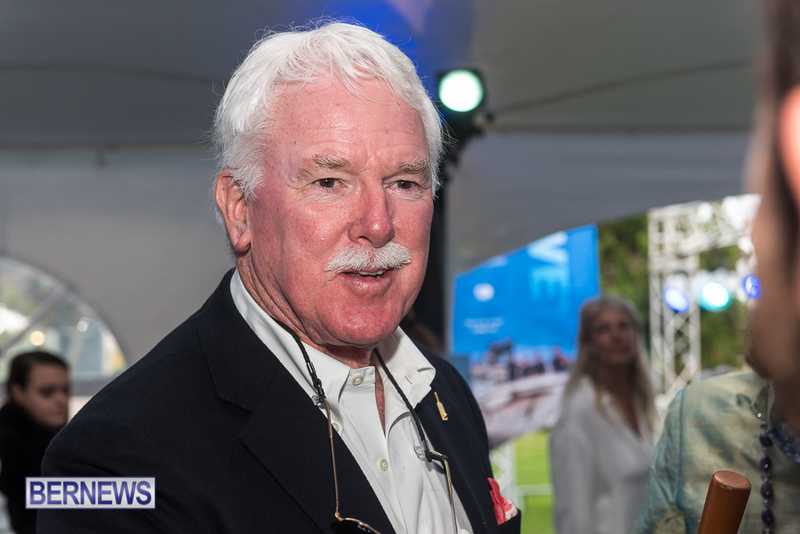 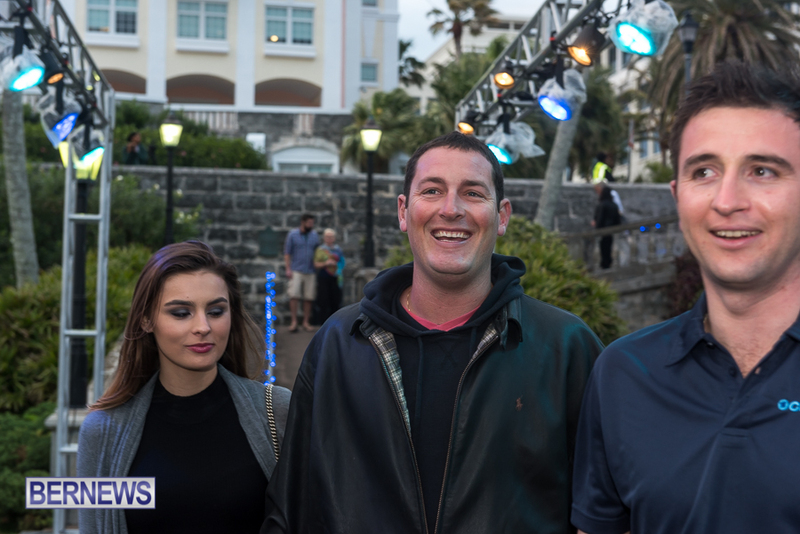 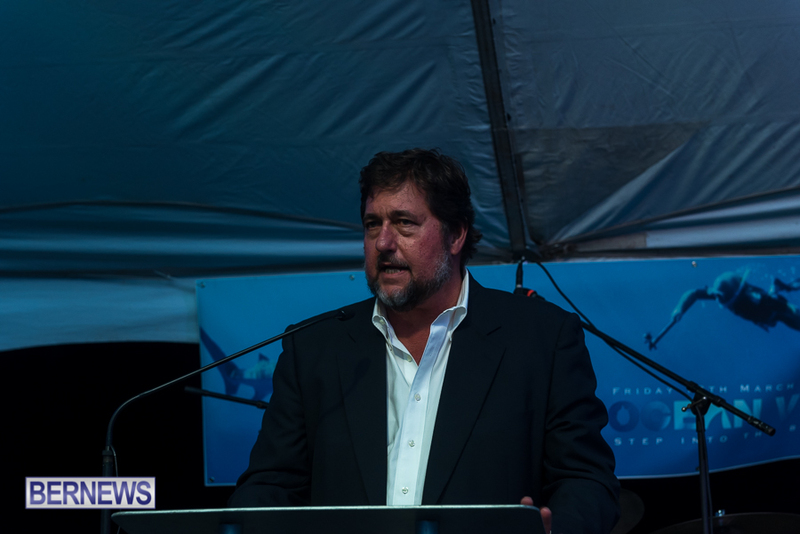 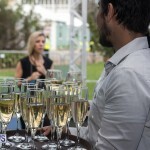 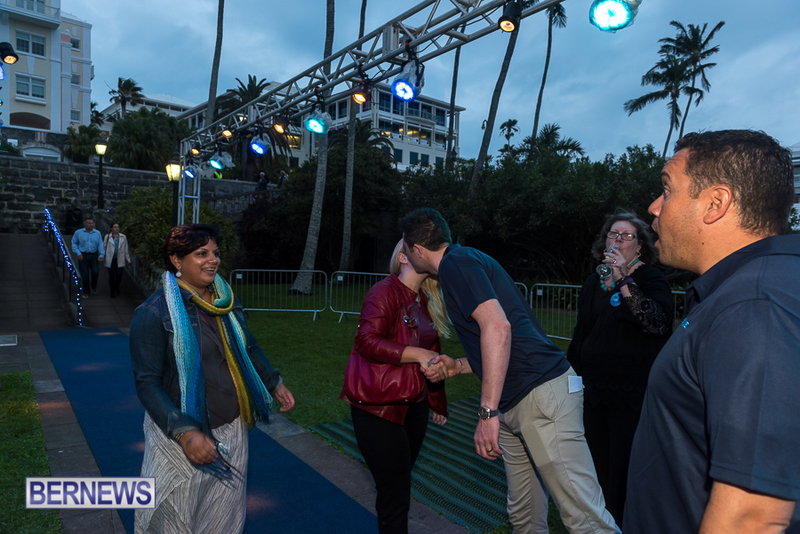 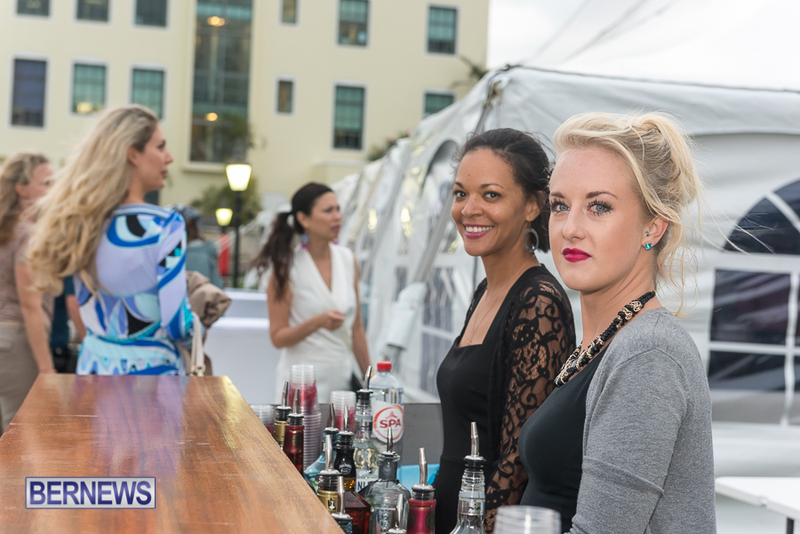 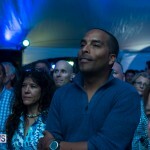 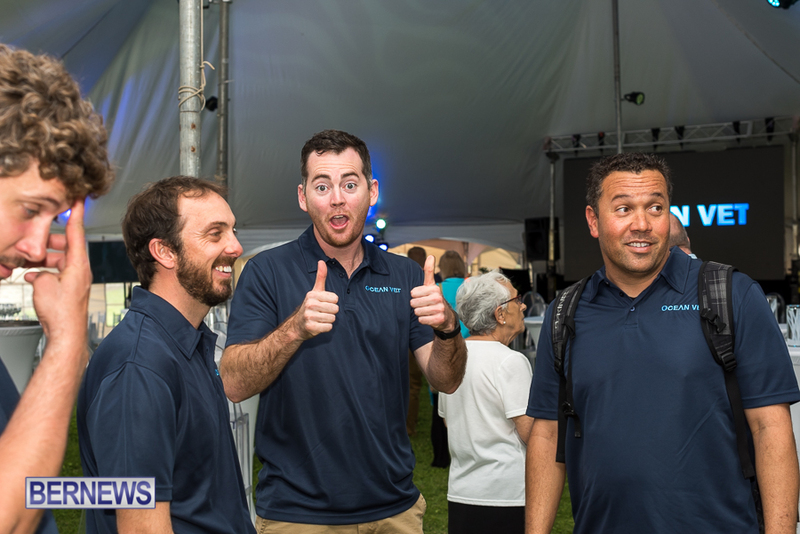 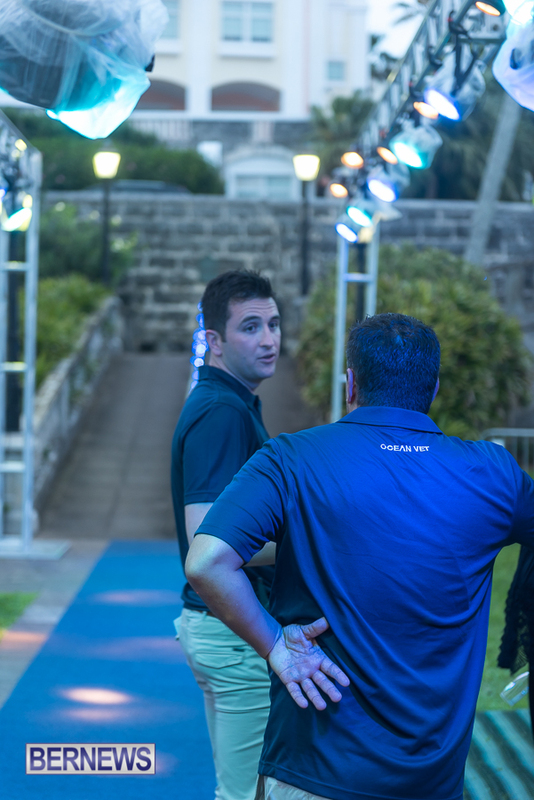 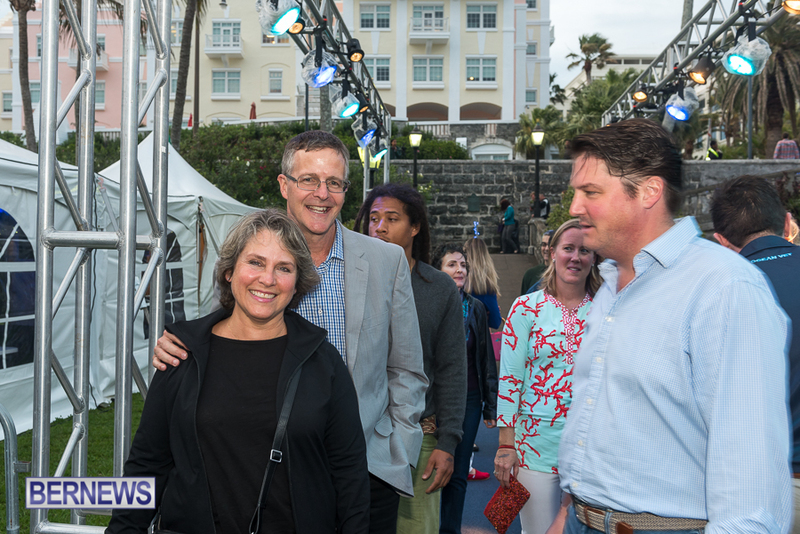 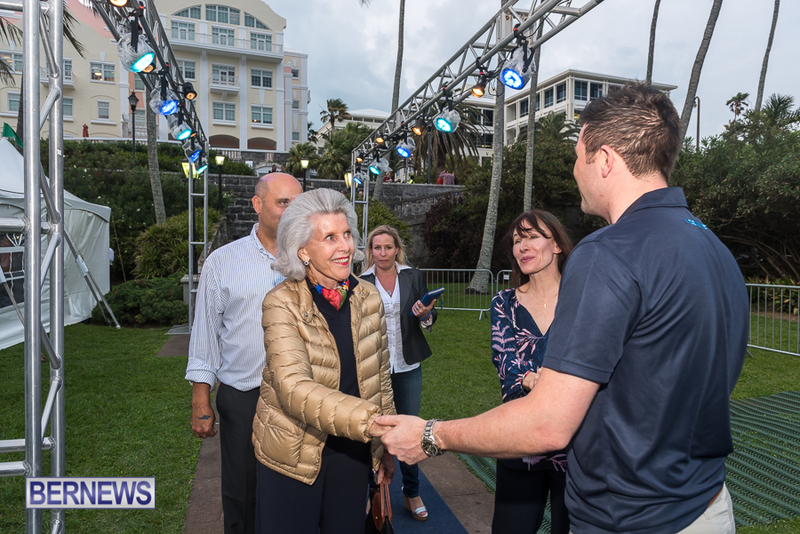 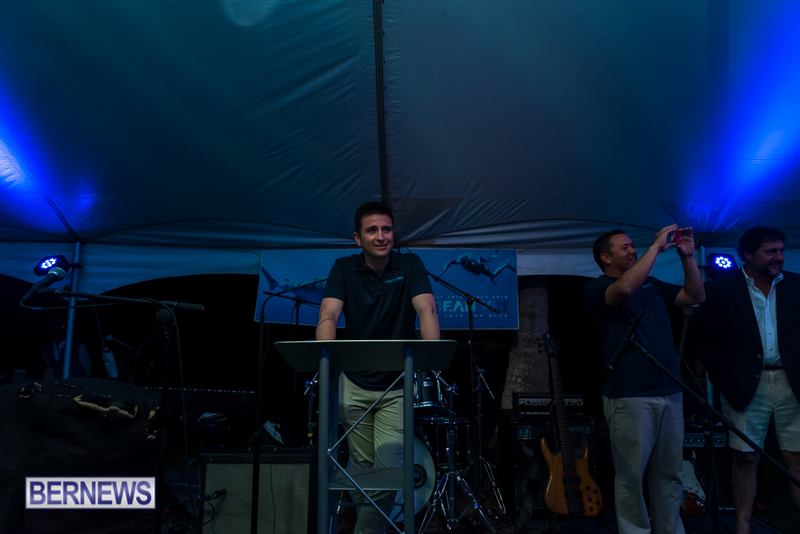 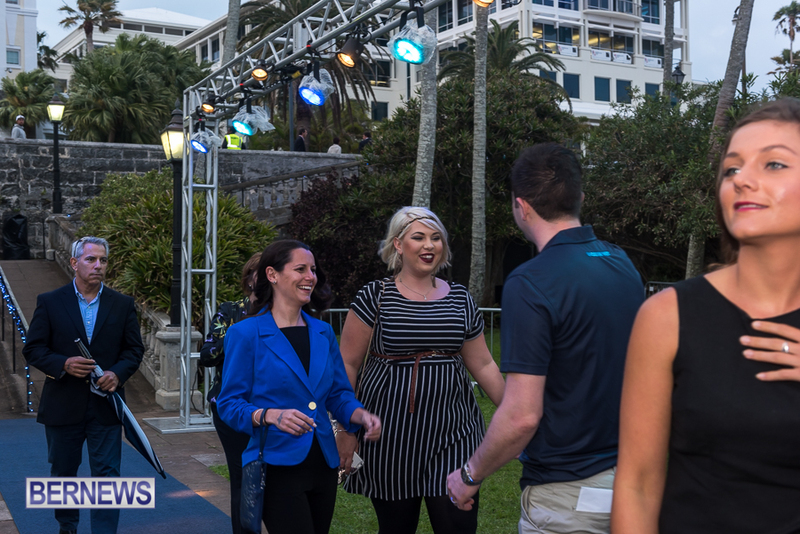 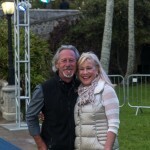 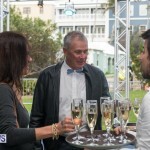 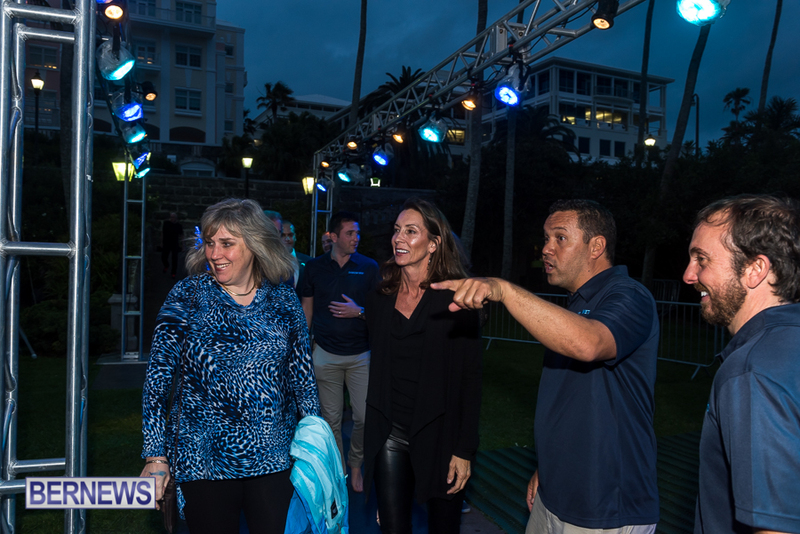 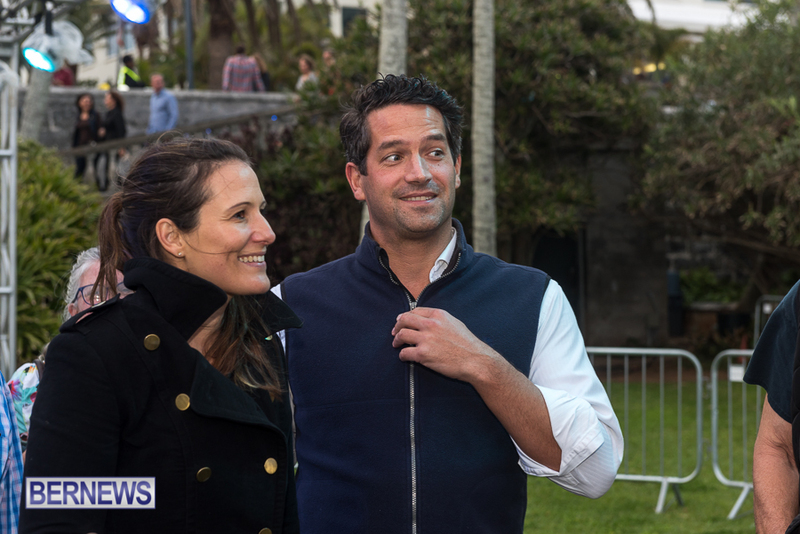 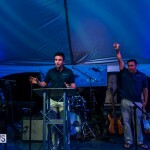 Series Producer Andrew Smith said, “It’s amazing to be back in Bermuda hosting our premiere here, there is absolutely nowhere else in the world more appropriate. 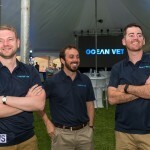 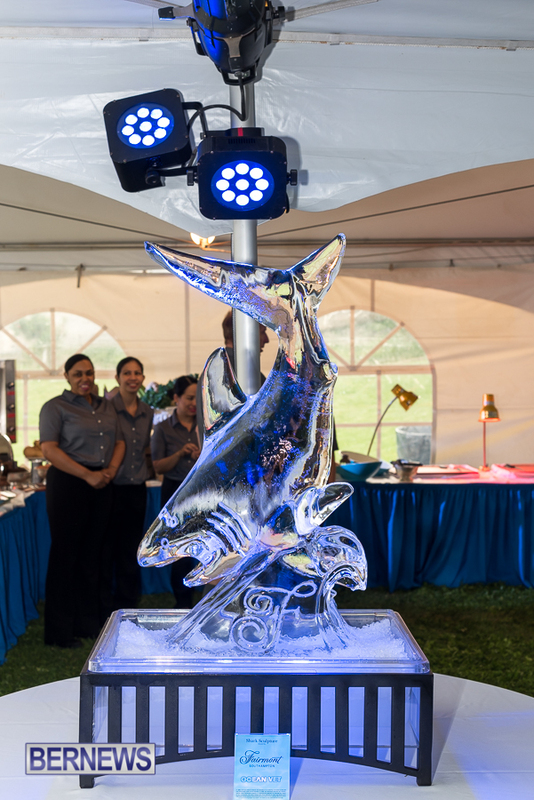 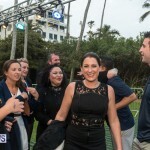 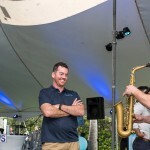 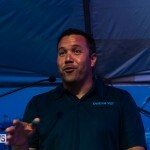 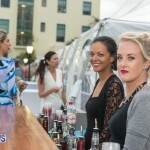 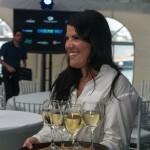 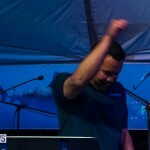 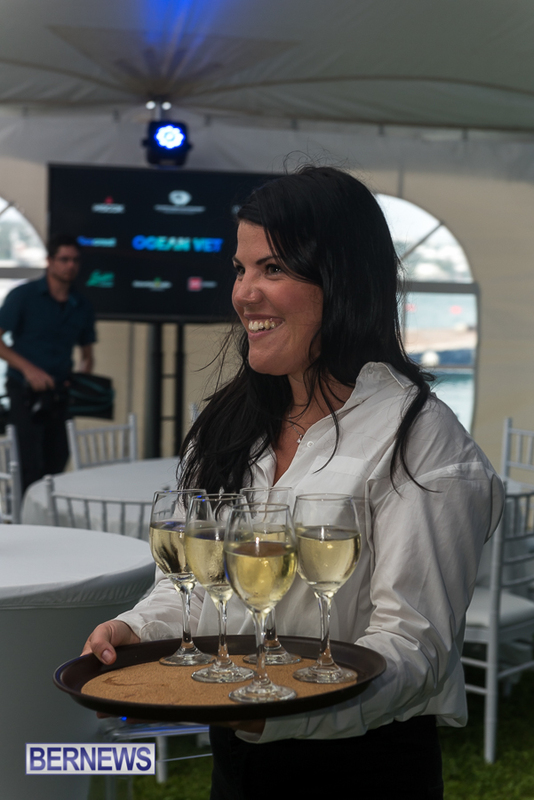 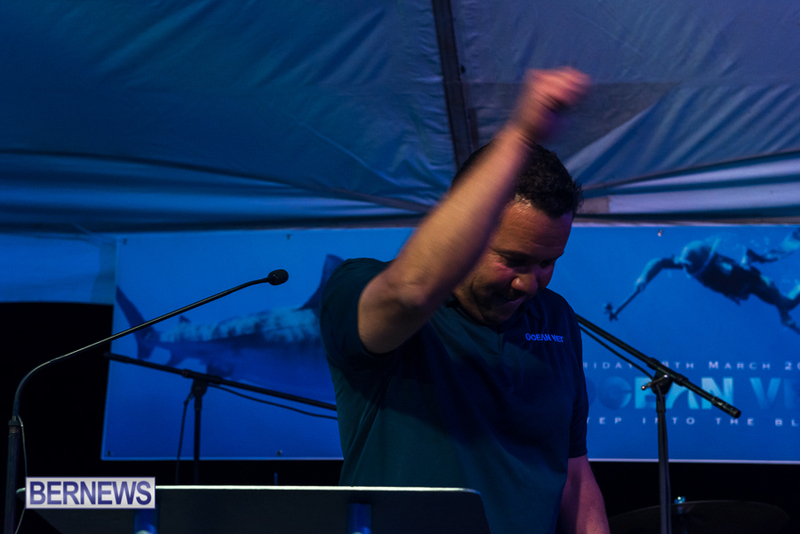 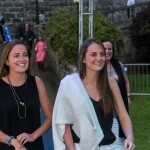 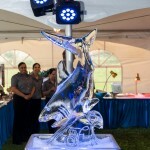 “In a fitting tribute to Neil and his ocean vet crew a number of different cocktails had been put together for the event including a ‘Burnie Sunrise’ a ‘Cha-Ching Aming’ even a ‘saxomonica’,” the spokesperson added.